If you are looking for some craft book Christmas present ideas for the crafty DIY person in your life or even to treat yourself with then I have some suggestions for you. 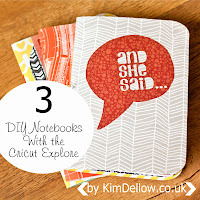 I have three craft books from CICO Books, one for their Home and Garden range the over two from their range of craft books, each book I’m writing about today is different but all of them have a DIY home décor theme. I’m not doing a full review today but more an overview of each one to give you a flavour of the book and hopefully you will want to check them out some more! But before I get started I just want to thank CICO Books for sending the books to me. I’m not being paid by CICO Books to talk about the books but I do use affiliate links on my blog so there are affiliate links in this blog post. Right, shall we get started? 1. Furniture Hacks And Other Creative Updates For A Unique And Stylish Home – Hester Van Overbeek. 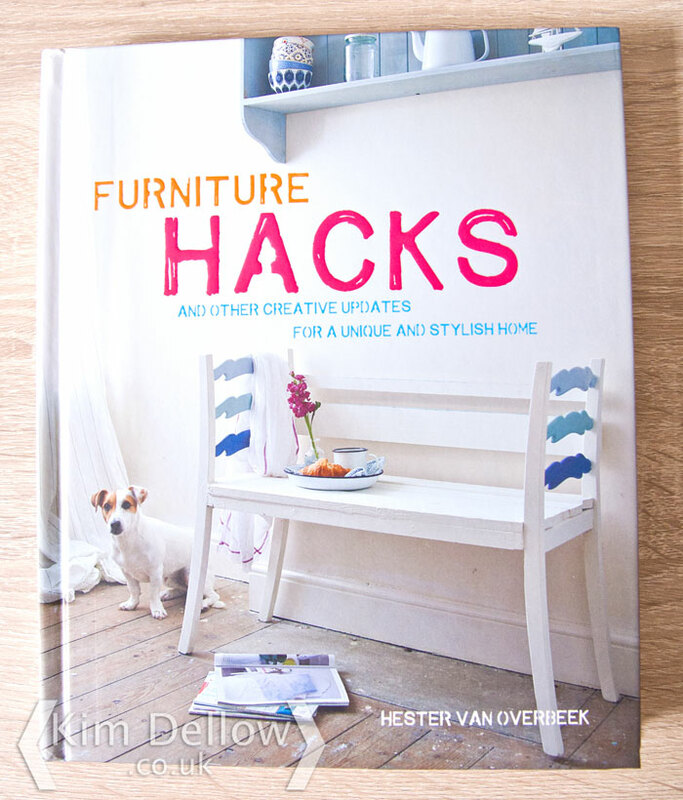 Furniture Hacks by Hester Van Overbeek is filled with some lovely ideas ranging from just adding a lick of paint to spruce up a tired looking piece to construction projects that will need power tools. I was lucky enough to go to Hester’s book launch party at West Elms where we got to make the plate wall clocks projects from her book. It was great fun to do. When we first moved into our new house I was like, we are so going to upcycle all the furniture, picked up from junk yards and car boots, obviously, no IKEA, and bespoke the heck out of our décor. A year later on and we have bought new furniture, we are an IKEA haven and the only upcycling we have done so far is painting the kitchen chairs different colours, which look pretty cool by the way! Yeah, reality hit fast when I realised that time for all the projects in my head was short and that we needed furniture to unpack our moving boxes into STAT. So now I’ve reassessed and I’m thinking that I’m going to IKEA hack my way to a bespoke décor and so Hester’s Furniture Hacks could not have come at a better time for us. I would say that you would not need much experience to get cracking on many of the projects in this book, so if you are a completely newbie you can get to it immediately. Although it might help for some of the projects for example I would be cleaning my draw fronts then putting a clear top coat of vanish over the Washi Tape decorated draw fronts ‘coz that stuff will be peeling off after a few days I can tell you! 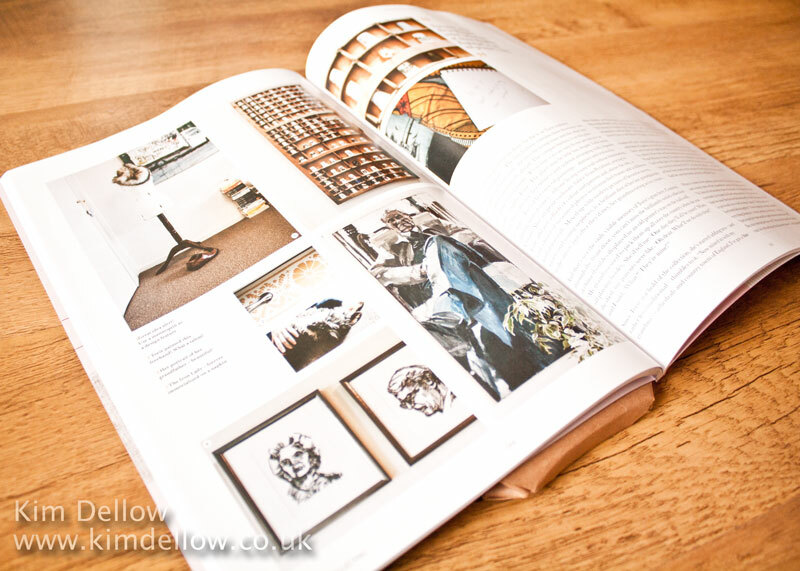 The book is hardback, measures approximately 19.5 cm wide x 24 cm high, recommended retail price £14.99, 144 pages and is split into areas inside and outside of the living space with an overview of tools, materials, techniques and UK sourcing suggestions at the back. 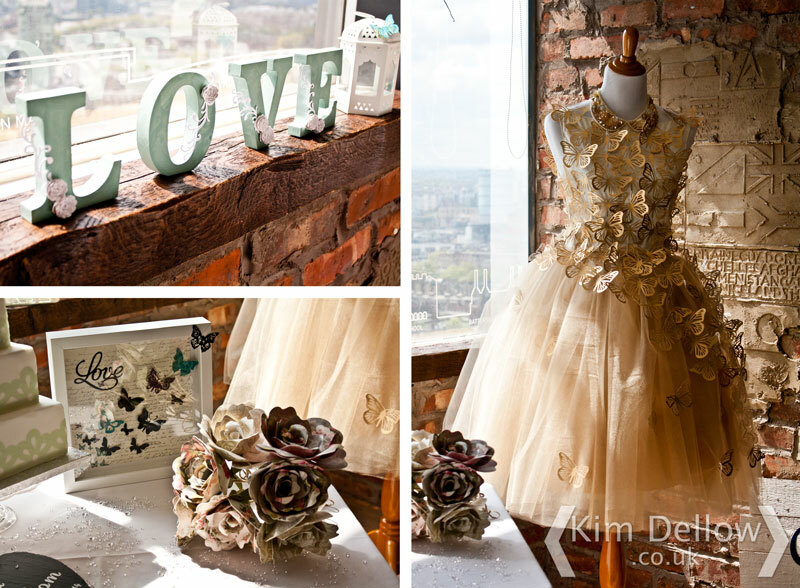 Beautiful styling photography and some handy step by step instructions and photography. Some of my favourite projects from the book – the Wooden Bed Surround, the Outdoor Bench, the Bedside Light just to name a few. I will definitely be dipping in and out of this book as we try to make our house a home. 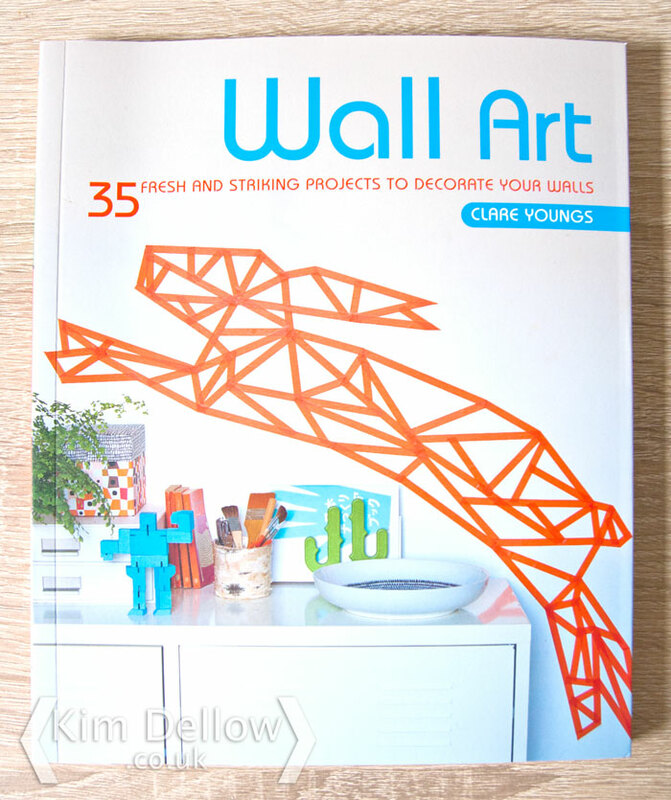 When I first saw the cover photo for Wall Art by Clare Youngs I thought it was just going to be all about art you do directly on the wall. But it is more than that, there are a huge range of decorating projects including things to hang and things to add to the wall surface itself. As the tagline says there are 35 ideas and what I really love about this book is that there are ideas for using all sorts of materials from fabric to live decoration with plants. There are both 2D and 3D artwork ideas in this book, which is right up my street as I love tactile 3 dimensional art. Lovely project photography, I would say there are more project close ups than styled in a room type of photos. But it is a balance between being able to see the project and giving an idea of how it looks in a room and probably close-ups are more important for the reader. 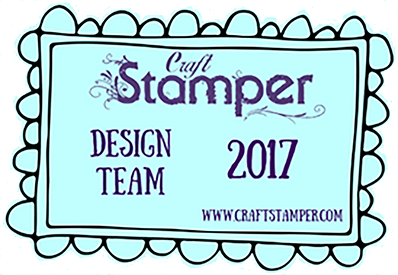 There are many projects that will be familiar to Papercrafters such as papercutting, stamp making as there are projects that will be familiar to stitchers and artists. I think that is what I like most about this book, it brings together ideas from many disciplines into one dip-in resource. So there is an idea for everyone whatever your preferred craft and if you are a newbie then lots to try out. The book is softback, measures approximately 19 cm wide x 23 cm high, recommended retail price £12.99, 144 pages and is split loosely into types of projects and each section has a range of different ideas so it is a little hard to categorise into themes. There is also a short techniques section at the front and some templates for some of the designs at the back and a US and UK suppliers list. Projects are photographed in details and close-ups, with some close-up of an area in the house styled photos. The step by step photographs are done as coloured illustrations. I love the Furry Friends Trophy Heads, I’m thinking I might do a cats head one, the Pretty Patchwork is fun and a great way to use up some of my patterned paper stock! Then there is the Reclaimed Wood Panel and all the directly on the wall work ideas I’m loving too. Back to my roots with this book and a nod to papercrafters everywhere – lets get our PARTY on because it is Paper Pom-Poms And Other Party Decorations by Juliet Carr. 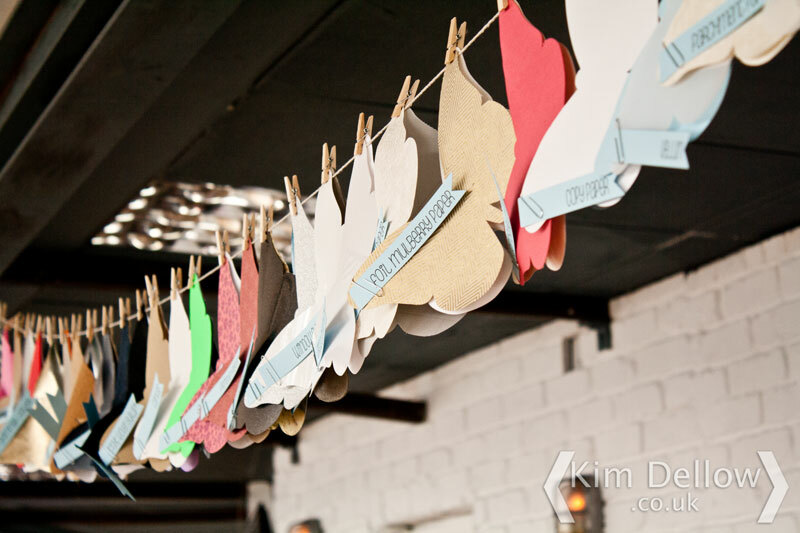 Banners, Garlands, Bunting are the DIY Party crafters’ staple and massively popular in occasional and seasonal home décor. Think Christmas, Hanakkah, New Year, Birthdays, Partys, Halloween, yep all NEED a banner, garland, bunting the lot! 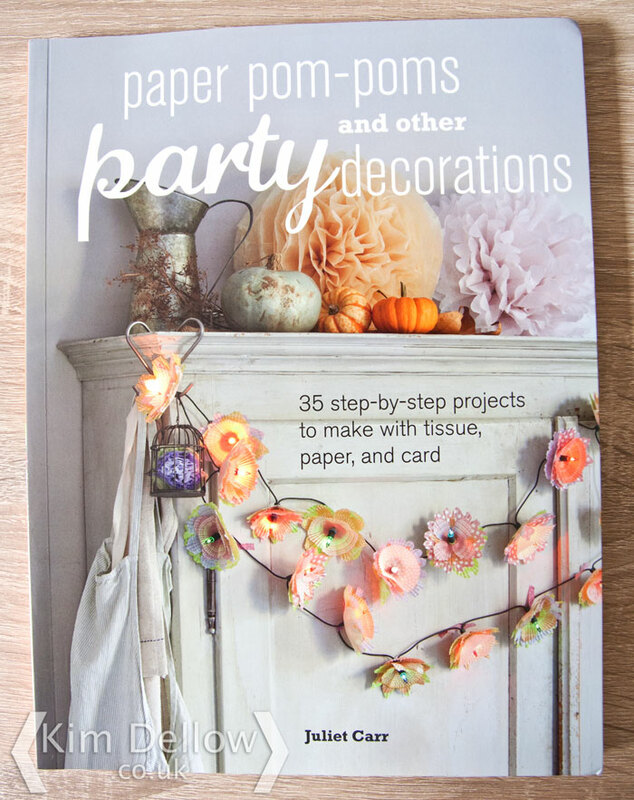 There are some amazing things going on with tissue paper in this book and I’m keen to have a go at some of them, I think that many of them would add a lovely feature to many a party décor theme or even as more permanent home décor features, perhaps matched with some wall art (see above). But there are also a couple of projects that I’m not sure would look anything other than screwed up bits of paper in my hands but I’m willing to give it a go! The book is a great resource if you are into DIY party decorations and would be great for a beginner or someone with more craft experience looking for some inspiration. The book is softback, measures approximately 31 cm wide x 27.5 cm high, 128 pages, recommended retail price £12.99 and is split into three sections including a Centrepiece and Showstoppers section with giant flowers – love the giant flowers. There is also a materials and tools section and some templates plus a US/ Canada and UK suppliers section. 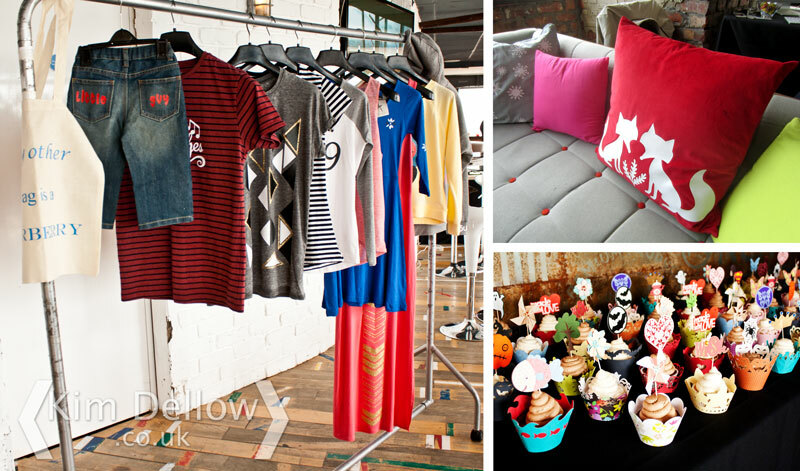 There are lots of project close-up photos, a few styled in a room close-up photos and photo step by steps. The large flowers – yeah I mentioned them already! Love them! I adore the Giant Rose and Giant Gerberas. I also want to have a go at the Cupcake Flower lights, very cute. Oh and great to see the Dreidel Bunting. Fab idea! 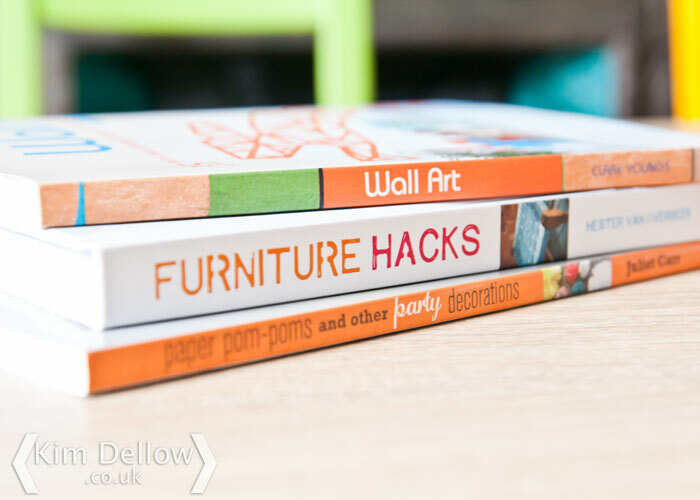 Three different craft DIY books but all great for any Home Décor enthusiast or the crafter wanting to spread out to big projects for the home. They are all a great curation and showcase for some lovely and handy contemporary décor ideas and each has something for any level of crafting experience. So which one would you pick? Or do you have any of them already and what do you think of them? 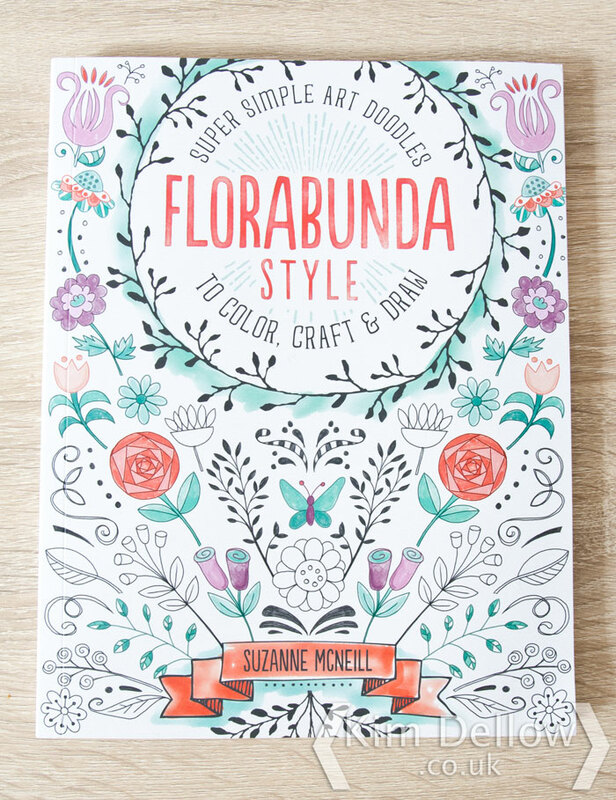 I might spend most of my life online but I do love books and, thanks to the guys at Design Originals who have sent me over a review copy of Suzanne McNeill’s FloraBunda Style, I have a new one to share with you all today. I’ve not been paid for this review but I do use affiliate links on my blog and there are some in this blog post. According to the press release, FloraBunda represents the ‘next generation’ of Zentangle. Now I come to this book not really knowing much about Zentangle, I know of it, of course, you can’t work in this industry and not know of it, but I’ve not yet been bitten by the Zentangle bug. However, I am a happy doodler! I love drawing flora and fauna and I’m always looking to extend my doodle repertoire because we doodlers can often get stuck in the same patterns. So I was keen to give FloraBunda Style a go and give someone else’s doodle style a try. 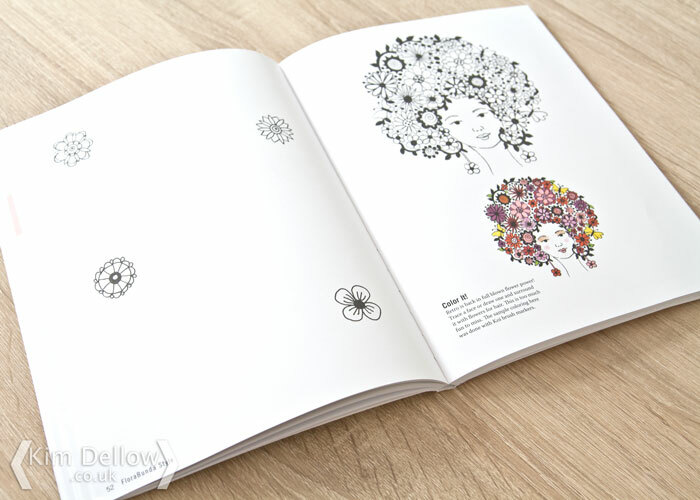 The first thing I noticed about FloraBunda is that as well as being a source of inspiration for both your drawing and for off-the-page project work, it is also a workbook and you are actively encouraged to draw in the book itself. *Shriek* I’m almost sucked through the screen from your collective sharp intakes of breath! I know! Well, I suppose if you are used to the adult colouring books then you are well versed in drawing and colouring in books. 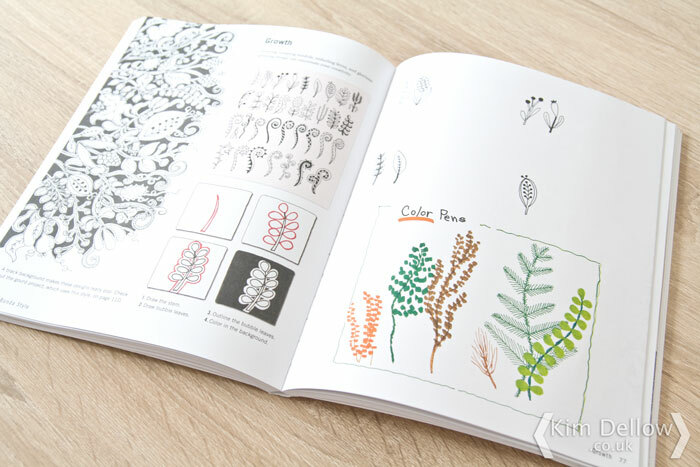 The book is designed for you to draw in and the paper is smooth, slightly toothed, very, very slightly off-white and is described in the ‘How to Use This Book’ section as ‘a high-quality artist paper’. Oh boy, you are going to want me to scribble in my lovely book now aren’t you? Just to prove it? *Sigh* OK then, as it is for you, I will do it. I would not suggest using alcohol-based pens such as Sharpies, Copics, Promarkers and the like as these will just bleed through the paper. The water wrinkles the paper a little so you will only want to use it lightly and don’t saturate the paper, otherwise it holds up quite well with the water. The book is around 21.7 cm x 27.9 cm in size and paperback. I thought the binding was quite clever as it allows you to open the book wide without breaking the spine, but even so it is hard to get the book really flat and you might need to hold it down when drawing in it. The book is made up of six free-flowing sections: What is FloraBunda? Getting Started, Tools, The Designs, Design Index and the Index. The What is FloraBunda? section introduces the idea and gives you a little about Suzanne McNeill, then the Getting Started section briefly talks about drawing the designs and has a little bit of colour theory. 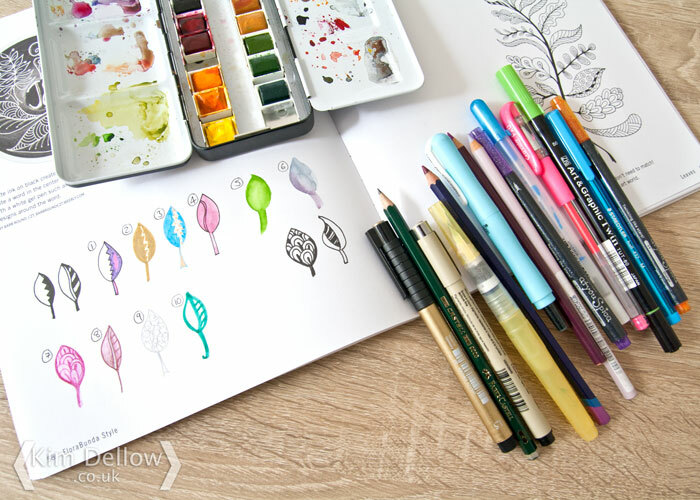 This is followed by the Tools section, which talks about pens and colouring tools with example pictures to illustrate the looks you can get with each. There is not a lot of information on brands – there are few pen brands talked about but not really much on what type of watercolour or colouring pencil to use or techniques for using them. But then too much technical information might be a bit off-putting for a newbie and I think the aim of the book is more inspiration to get people into using these things. 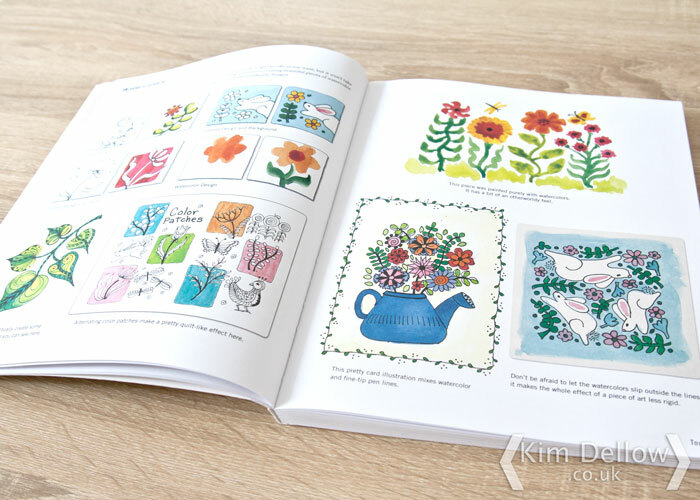 The main bulk of the book is of course the designs and there are lots and lots of inspiration for different flower and foliage drawings. 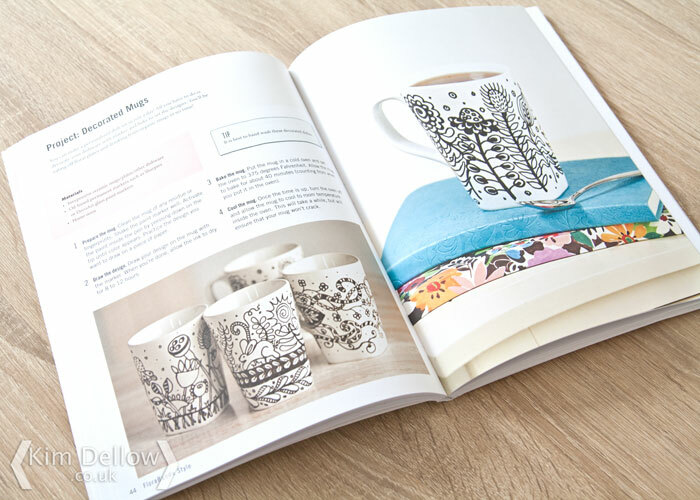 As you work through the book, you will see that on each page there are both simple designs and then inspiration for more complex work and inter-spaced between them are ideas on how to take the ideas into craft pieces such as mug decoration, stitching, home décor, wood burning, jewellery to name just a few. The craft projects do not have photo steps but pictures of the final piece accompanied with a written step by step and I think they are more there for ‘look what you can do with these designs’ than ‘this is how you do it’. 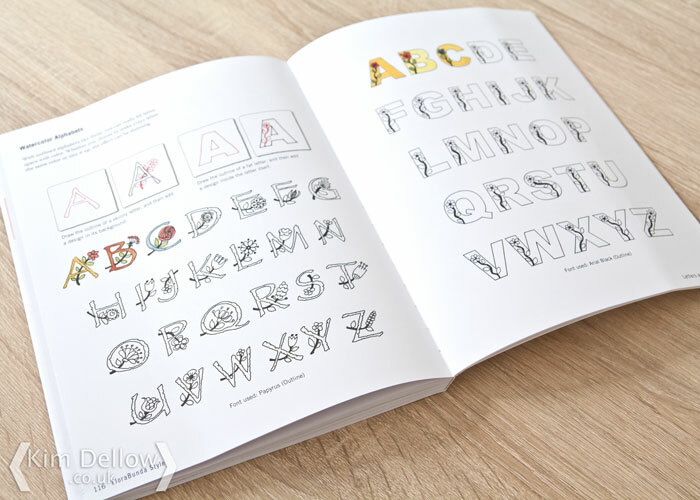 Before you get to the Design Index, which has a pictorial list of all the elements drawn in the book, there are a few lettering and alphabet designs and ideas, which are very useful, and there are some simple and more elaborate lettering ideas. The final page is the book index plus a bit more about the author. 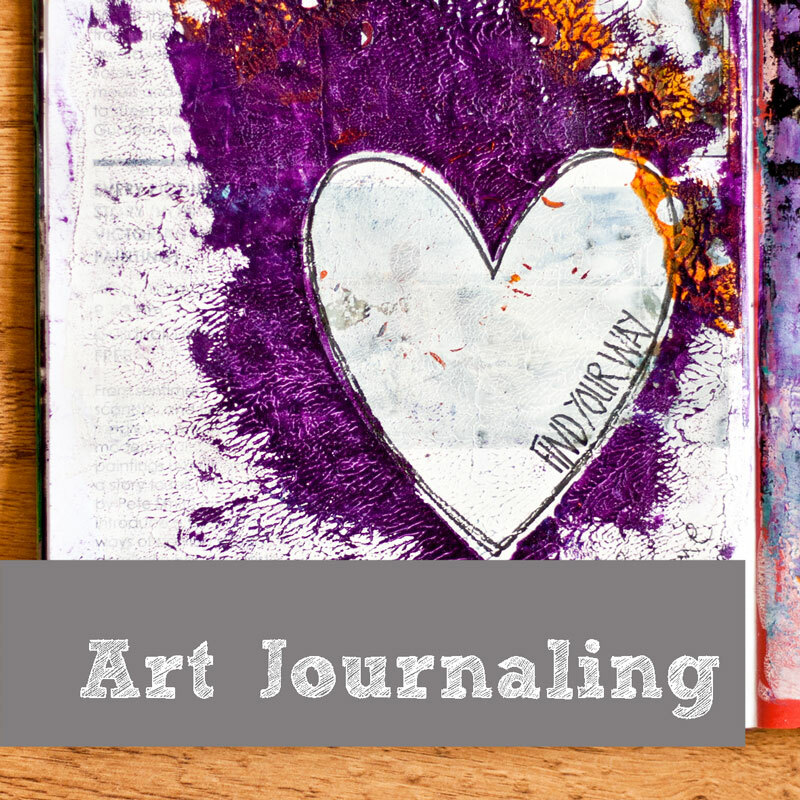 It is full of some really lovely flora and fauna inspiration for your drawing/doodling and illustrative work. There are some great project ideas to take the drawing into 3D project work. Some lovely lettering inspiration too. The project photography is contemporary. After the initial *zoinks* I don’t want to spoil the book by drawing in it, I actually liked that there was space next to the various designs to have a go. It’s a great way to relax with not having to think too much. You can colour in all of the designs in the book. It’s that fine line between practising someone else’s style and developing your own style. There isn’t really a lot in the book about developing your own style. But then I don’t think these kind of books are really for people who want to develop their own style. Even though I started coming around to the whole writing in the book thing, I will still stick to my sketch pad thanks! Some of the products used might not be listed in enough detail for a complete newbie to crafting. Who Is FloraBunda Style For? I think that FloraBunda Style would be perfect for someone who loves the adult colouring books but wants to take it to the next level and start creating their own designs to colour in but isn’t really sure how. 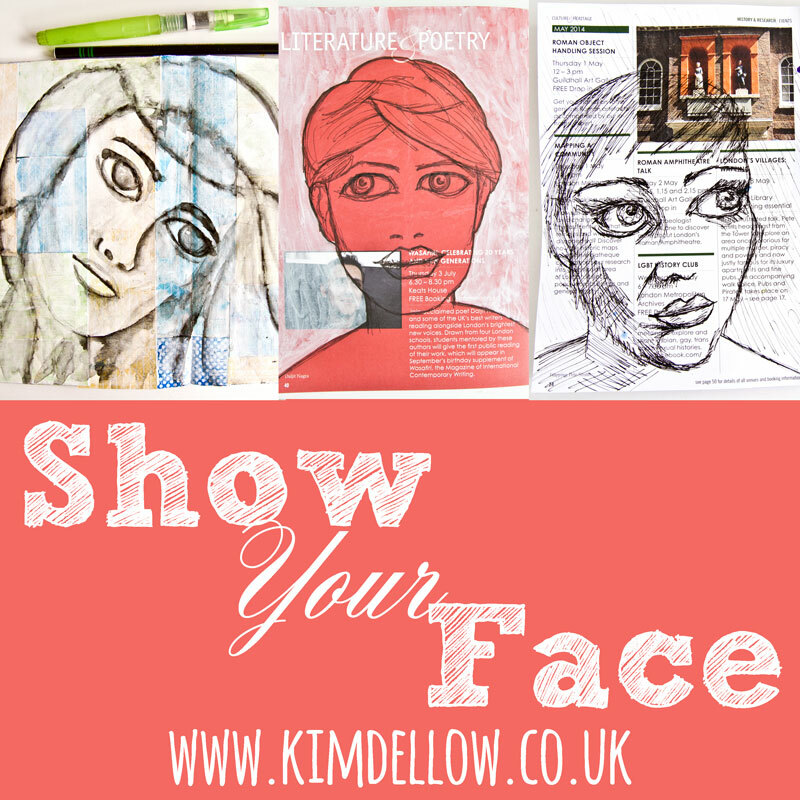 This is a great way to get started in building up drawing confidence. You can find FloraBunda by Suzanne McNeill in Amazon.uk where it is current retailing at £12.99 or Amazon.com ($15.28) as well as other popular bookshops, where you might actually find it cheaper so shop around. Have you got this book? What do you think of it or other books by Suzanne McNeill? I would love to know so do leave me a comment. 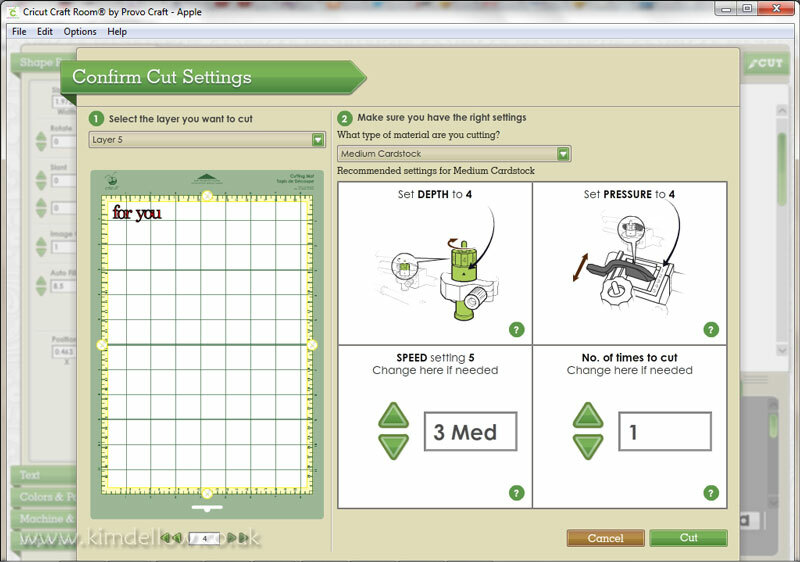 Say ‘hello’ to the newest electronic cutting machine on the market – the Cricut Explore. 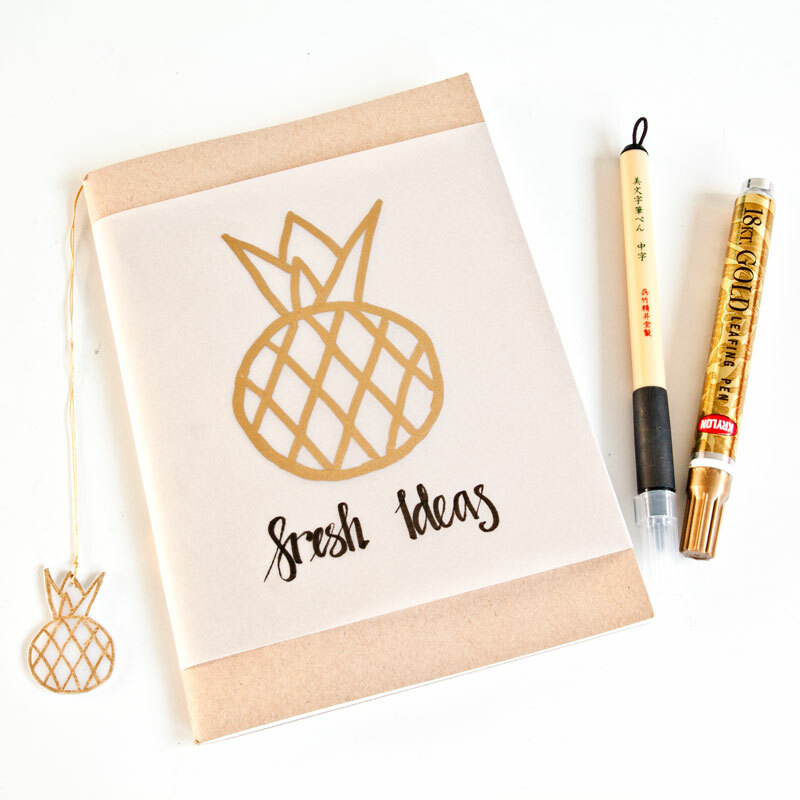 Launching on the UK Market this month this newest member of the Provo Craft die-cutting range boasts a total design reboot. 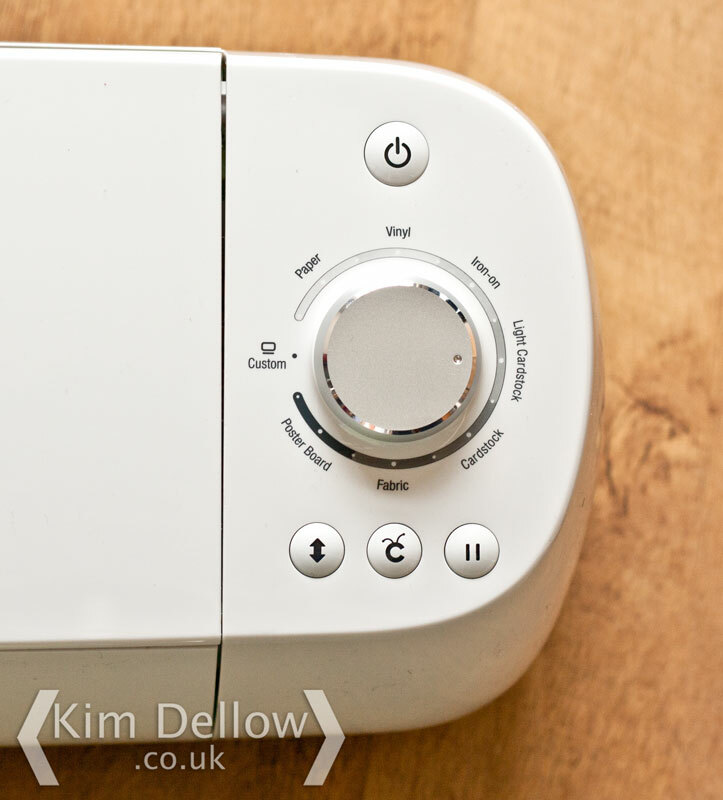 I was lucky enough to get the full scoop at the April 2014 UK blogger launch event along with some other crafty and lifestyle bloggers and I thought I would share with you some of my initial thoughts and news about the new machine. I’m super-excited to share this with you, as you know I’ve been playing with a few of the different electronic cutting machine on the market so it is great to be in a position to compare and contrast and share the results with you guys. Well from first look I was impressed. You can tell from when you open the box that a lot of care has gone into making the Cricut Explore an easy, take from the box and start cutting experience. There is very little set up and it is very intuitive so you don’t have lots of manuals to read or videos you have to watch to be able to set up and get cutting straight away. 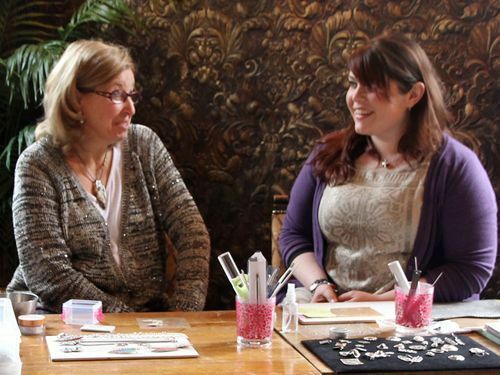 From the blogger event in April (where all the gorgeous inspirational projects you can see here and made by Suzie Candlin were from) you could tell that they are aiming this machine towards contemporary crafters who are interested in home decor and items for friends and family. 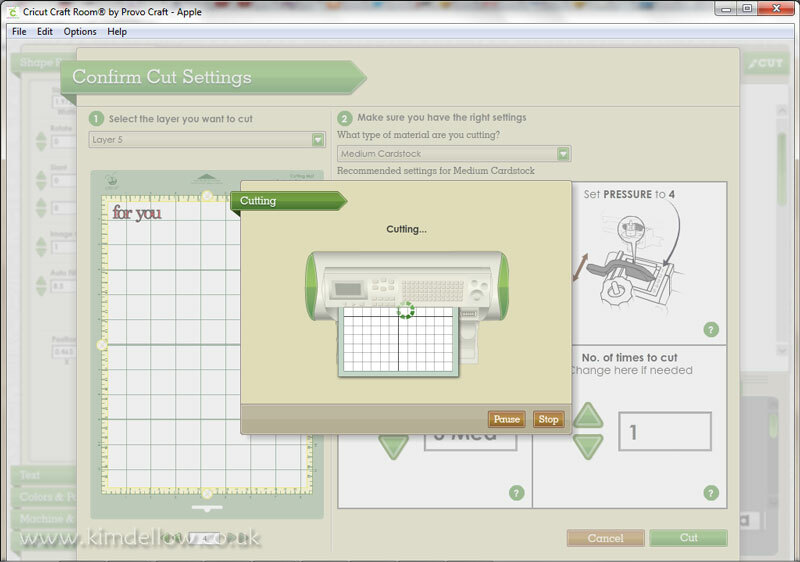 When you download the Cricut Design Space software this becomes obvious again as there are many canvas options from baby grows to foot wear and lots in between available to help you create. 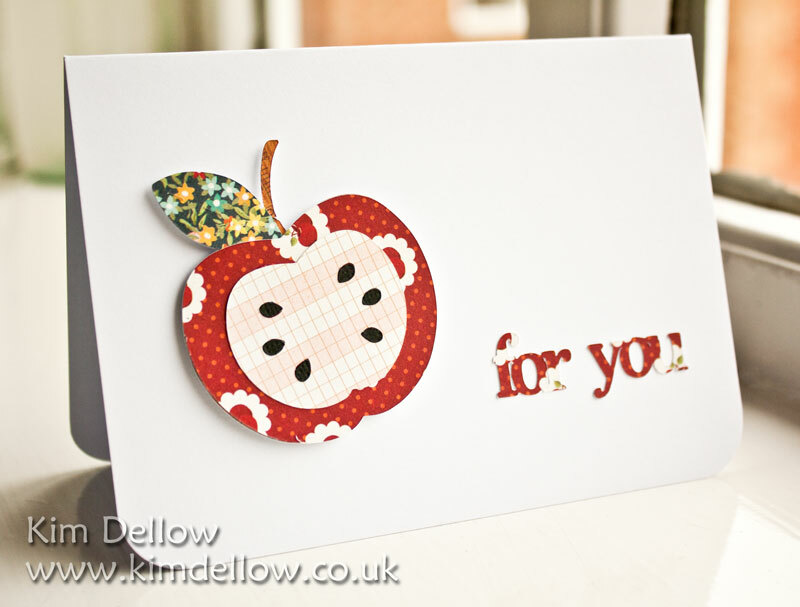 But of course their Papercrafter audience are catered to as well, with card blanks and Scrapbook layouts and the like. 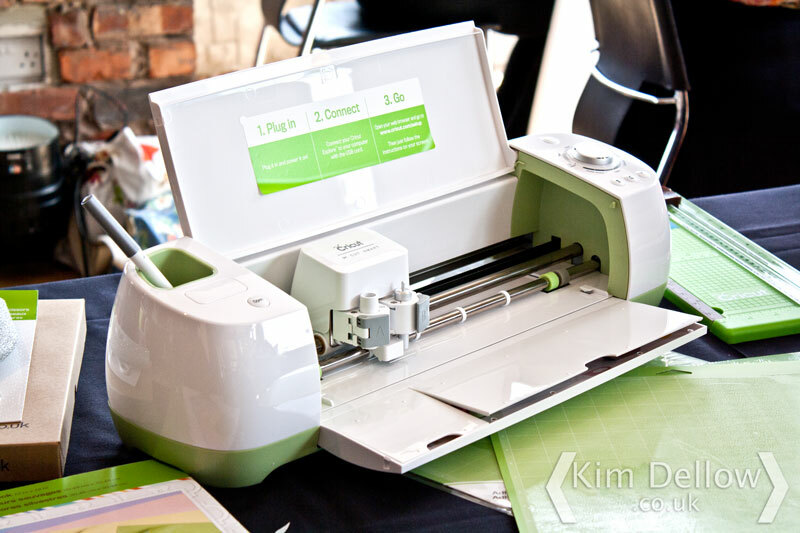 The machine itself is beautifully designed with a smooth one-touch open, a covered slot for your Cricut cartridges if you have them, places to store tools and spare blades and even a carry bag to house it in. But most impressive of all is the simple dial system or ‘Cut Smart Technology’ for setting the material type you want to cut. So no more setting the depth of the blade or even worrying about the speed as the software and machine do this all for you, all you have to do is turn the dial on the machine to the material you are cutting. Apparently it can cut to a thickness of 1 mm or 2 mm if it is a less dense material. The guys from Cricut were very proud of the fact that a lot of research and development has gone into this machine including talking to crafters about what they want from an electronic cutting machine, which sounds great for us! So far I’ve only cut card and paper but when I have time I shall do some experimenting for you with different materials. I’ve got a ton of projects I want to do and when (if) we eventually move house, I will be running the machine to its limits I can tell you, every room will have something Cricut Explored! Another thing that I love about this machine is that it has two clamps, one for your cutting blade and one for your pen or scoring tool! How cool? So you can do both in one pass and without having to take out the blade to put a pen in. So yes, I am loving the Cricut Explore machine, however, I’m a little disappointed that they haven’t done more to the software. I am not a big fan of the previous Cricut software Cricut Craftroom and apart from a few things the new software Cricut Design Space isn’t much of an improvement. But let’s look at the positives of the Cricut Design Space first. The biggest update to the software is that you can now use your own designs to make cutting files – what? WHAT? I know! Cool! I love making my own cutting files and now you can upload an image as a JPG, GIF, PNG or BMP file and convert it to a cutting file or you can upload any of the SVG or DXF files you have. Wahoo! Very, very happy about that! The other nice thing about Cricut Design Space is that they have bought it up to date with an easy to navigate, cleaner look. Finally another great improvement is that you can now write or cut any of the typefaces you already have loaded on your computer, before you could only use the alphas that they offered you and you had to own them to be able to cut them. But some of the down points. First of all I find the software too simple and get annoyed that you can’t draw items in it, any shape you want to use you have to insert, which also means you either have to own it to cut it or it is one that you have uploaded yourself and converted to a cutting file. I haven’t found a way to change the sizes to cm instead of inches and there are no alignment tools to get you shapes in the right place. The new software is all online, like the previous version, but this time it works in your browser rather than a stand-alone window. This means that when you get updates you have to close the browser down to install it and I have actually had to reboot my computer to install the update *SIGH* computers! Also if your browser crashes so does what you are working on. Annoyed? You will be! It also means – and this is a big one – you can not design offline, you can’t access your designs if you are offline, you can not use the cutting machine if you are offline. Ok, so some of these things I can work around and probably most users won’t even notice but it is a shame that you can not do any offline designing or store your designs on your own computer. I mean everyone is always online, right? But putting those things aside I am really excited about the Cricut Explore and the fact I can now use my own designs to cut, that makes up for the stuff I don’t like about the software. I’m hoping to share some more things with you over the next few weeks as I learn more about it and I would love to hear your views on it as well. You can buy designs individually starting at 79p (over 50,000 in the library). 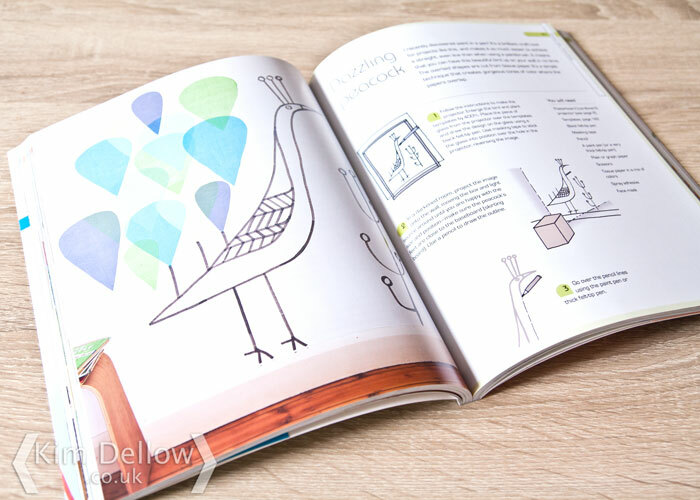 Or get a one month subscription at £7.99 or a one year subscription £79.99 for access to the Cricut-branded designs which account for over 25,000 designs in the library. I don’t know why I like that kind of information, it is probably the scientist in me. The machine is available from Amazon. It’s book review time and I really do have a super cute stitchery craft book to share with you today, and they really don’t come any cuter than this! Well straight off as soon as I opened Sew Quick, Sew Cute from Fiona Goble I found projects I wanted to try. 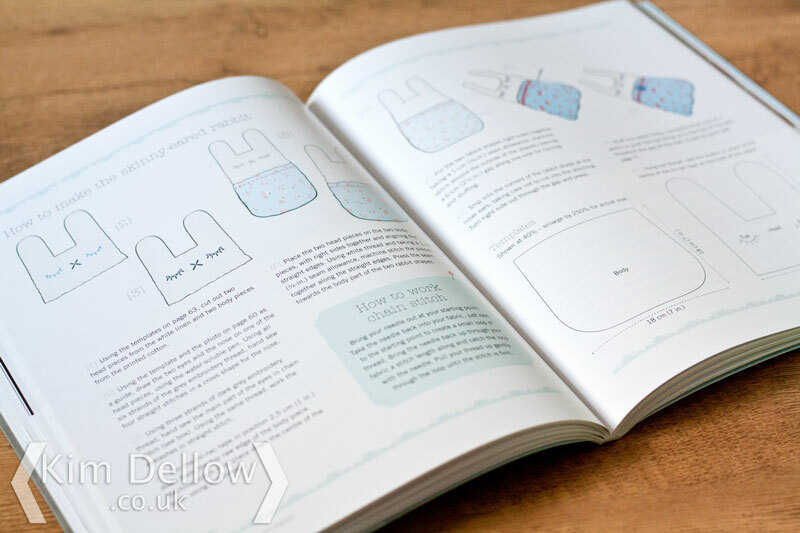 There is a large range of sewing projects in this book from toys for babies to clothes for you and your family through bags, and even footwear, all of them very simple makes with the time-challenged in mind. Yep that is all of us isn’t it? 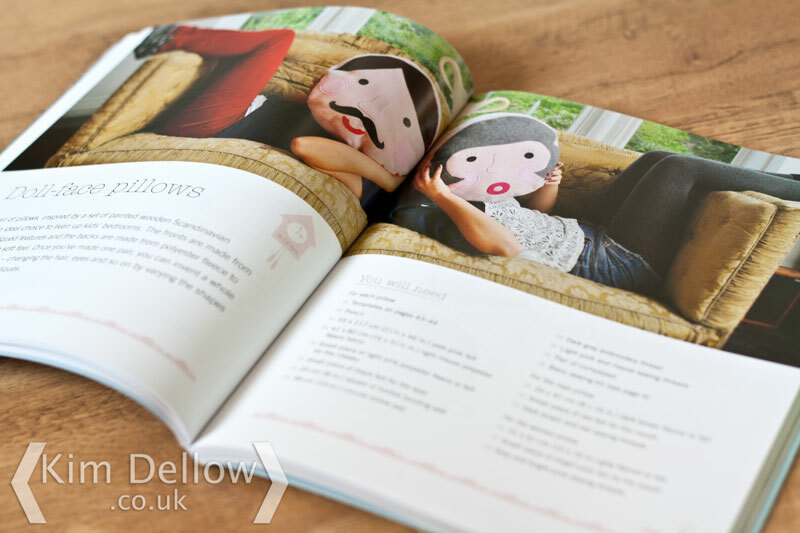 There are thirty projects, described on the cover as ‘Simple, Speedy Projects’ and they certainly are, but the beauty of them is that even sewing-beginners can dive into this book, get started and hopefully build confidence in their sewing skills. For those with a high degree of sewing skills, you might find these projects too simple and probably would not need help putting the projects together. For me, I would class myself at an intermediate sewing level (I can make clothes from a simple pattern, I know my way around a sewing machine and I *LOVE* sewing), and there are definitely projects that I want to make from this book. I found reading through the book quite inspiring. I think it is as much about a look as it is the project ideas and with some clever fabric choices, the projects tap straight into the current looks and trends in the sewing crafts. 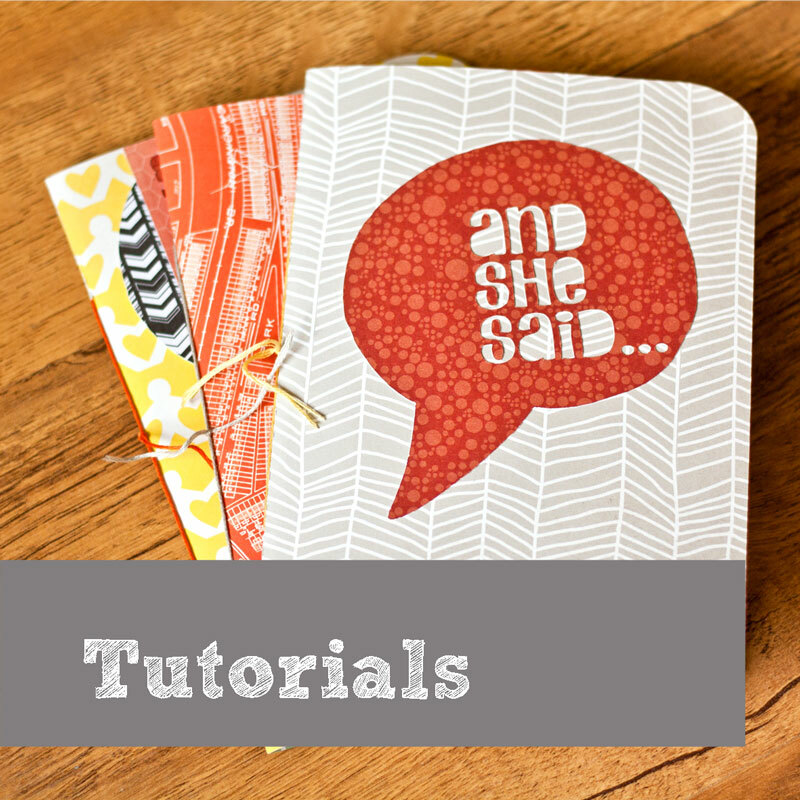 The book starts with a page of tips on what tools you need to make the projects. Next there is a page talking about the different fabrics you will need. Then there is a two-page spread about some of the basic sewing techniques you will be using, such as how to do a topstitch, how to clip curves and corners etc. It also gives tips on how to prepare the templates and all the templates are provided with the projects where needed and each project comes with an estimated time it will take to complete the project. The book itself is beautifully presented with great project photography and clear step-by-step sketches rather than photographs. It’s a paperback, with cover flaps, of 144 pages and measures 25 cm high by 20 cm wide and it has a recommended retail price of £14.99. 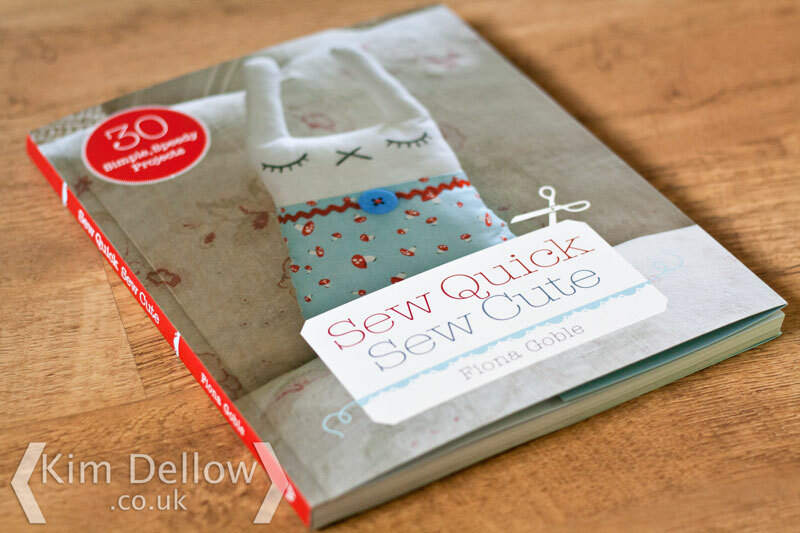 You can find Sew Quick, Sew Cute on pre-order over at Amazon.co.uk or Amazon.com and it is due out in the first week of February. 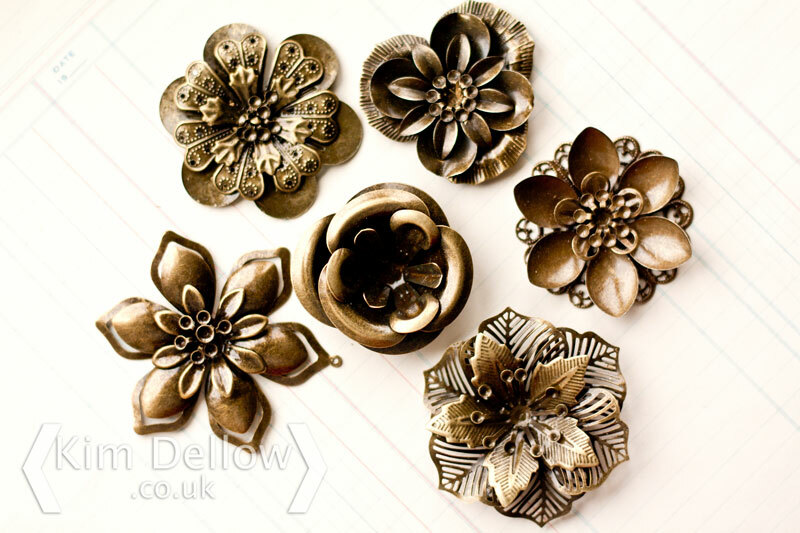 They are metal filigree flower embellishments and come from the Bead & Button Company, aren’t they pretty? 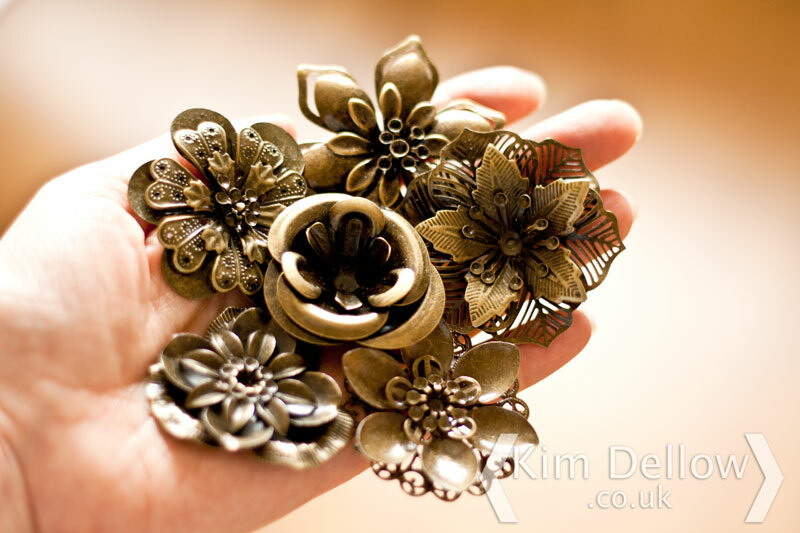 They are an antique bronze colour and come in a pack of 60, so plenty to play with or to split up and give to crafty friends or share in a crafty group. 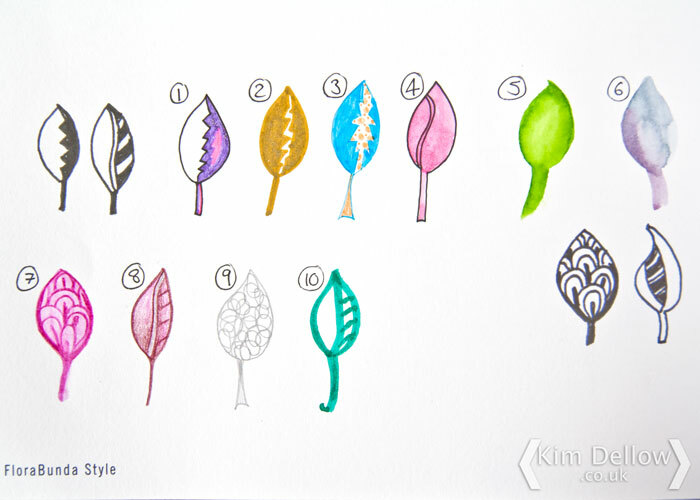 You get six designs and 10 of each design, the largest is about 5.7 x 5.9 cm and the smallest is about 4 cm x 4 cm and they are bendable so you can move the petals or curve the layers slightly. I’m really looking forward to using these in a project, so watch this space in the New Year and I will let you know how I get on with them. In the meantime, if you want to check them out, maybe get yourself a little crafty Christmas treat, you can find them on the Bead & Button Company website. 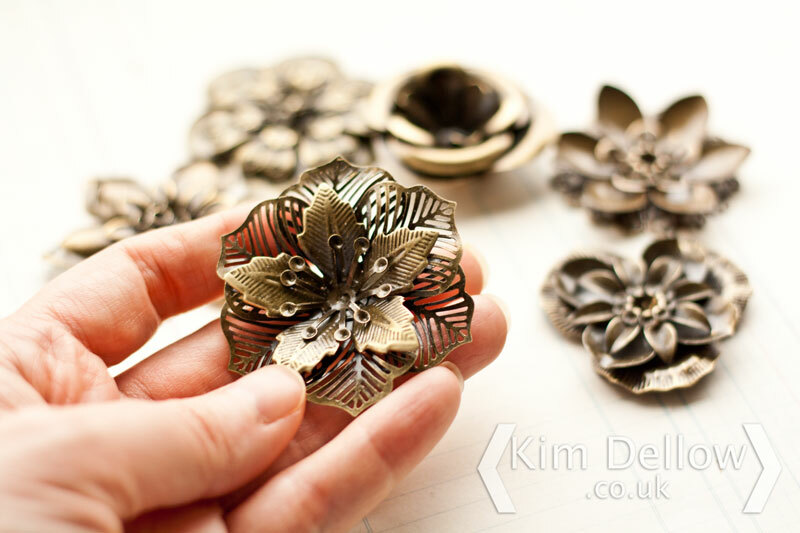 They retail for £14.99 for the pack of 60, which works out at around 25p / flower, which is a great price for metal embellishments. I also spotted a 10% off offer with a code on the website too, as well as lots of buttons that I need to add to my ever growing button collection – oh dear! Have a fun flower embellishment Thursday! Oh and do tell if you have used these, I would love to hear about it and see your projects. Review time! 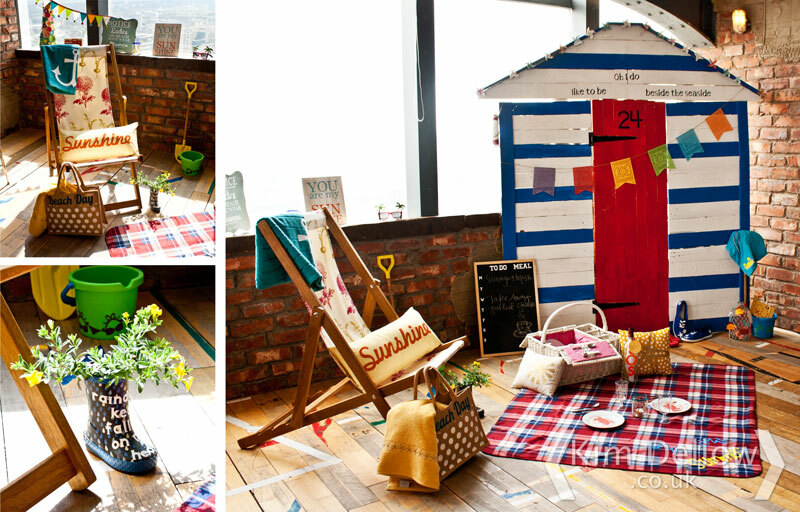 Are you looking for a DIY Advent calendar but you are a complete crafty beginner? Then this might be right up your street. 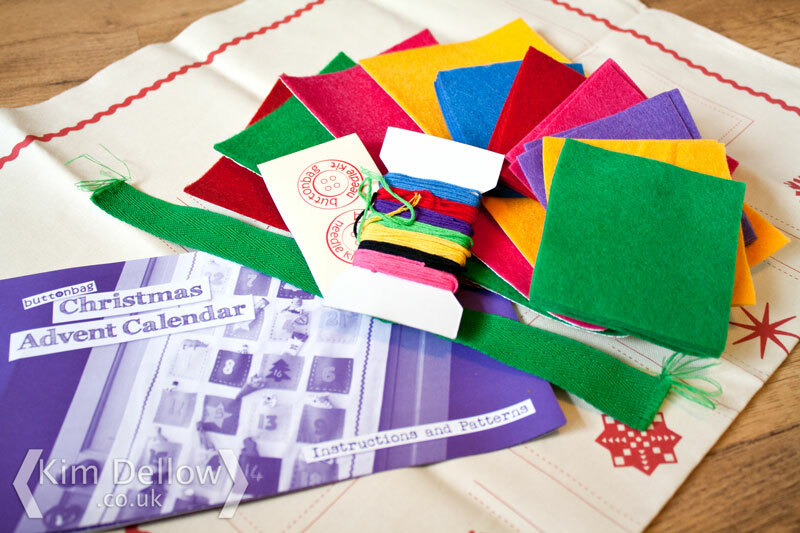 It’s the Christmas Advent Calendar craft kit from Buttonbag available from John Lewis. Now this kit involves a bit of stitchery but you don’t need a sewing machine and you get all the fabric, threads and needles you need to complete it. You get a 48 x 80 cm printed cotton panel that acts as the backdrop that you then stitch the 24 different coloured felt squares to make the little pockets to fill with toys or sweeties or whatever you want. The toys and sweeties aren’t included though! You get a rainbow of embroidery thread that you can use to decorate and stitch on the pockets with. There are also some ordinary threads in three colours plus black and white, some pins and a single snap fastener, I’m not really sure why that is in there…answers on a postcard…erm? 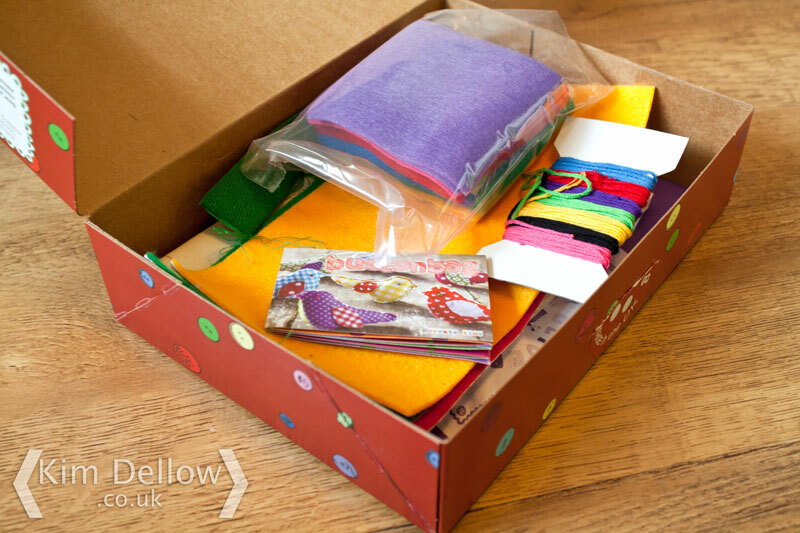 Also in the box are four large rectangles of sticky-back felt to make the decorations with. 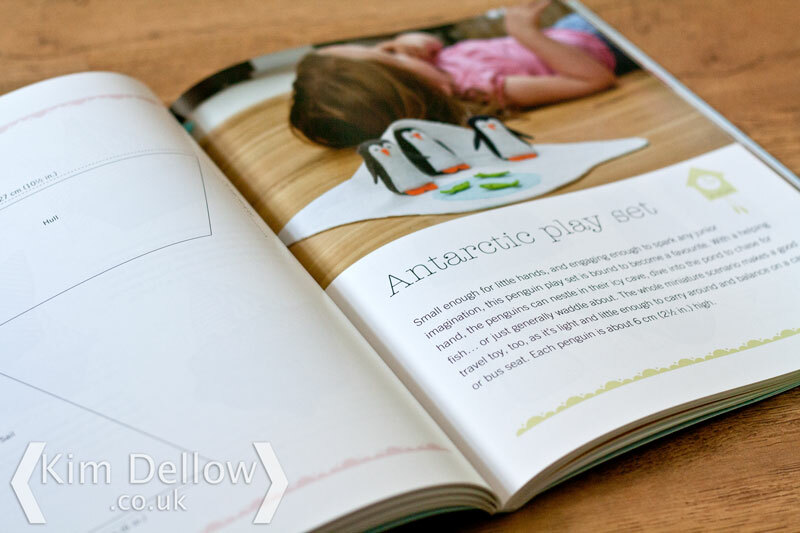 There are some shapes, numbers and an alphabet printed in the accompanying leaflet that you can use as templates. 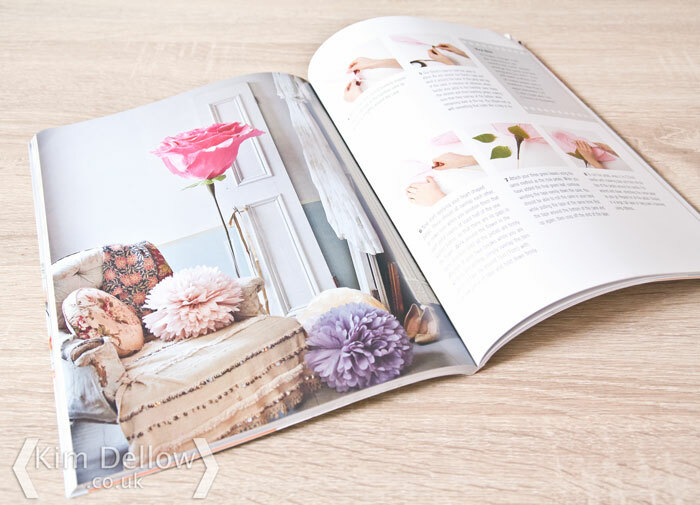 The leaflet also has the instructions and a rundown of Buttonbag’s other craft kits you can buy. Finally in the box you will also find a little strip of twill tape, which you can make hooks to help hang the calender with. The box is nicely presented and the contents are good quality. You get a lovely range of colours with the pockets and the embroidery thread, which is nice and there are a few options of the sticky-back felt too. The back cloth has some lovely snowflakes and stars printed on it, but I have no idea why as you cover them all up with the pockets you stitch on, which is a real shame. But I suppose that does mean that you don’t have to use it as an advent calender if you didn’t want to, you could use it for a countdown or some other fun pocket-filling use. Perhaps as a bribe incentive mechanism for getting chores done? I suspect, although I haven’t tried it, that it might prove a little hard to hang up and you may need to add three hooks to the calendar rather than the two suggested in the instructions. You may also need to get some hooks that attach to your door or wall to hang it up on and you might also want to just fill it with things that are light. I would also be wary of stitching into the gummed felt as it might leave the needles tacky and impossible to use on the rest of the make, cutting it might be a pain too. The kit is extremely simple: all you really need is some common sense and to know how to thread a needle and how to stitch a basic stitch to complete it. If you don’t know anything about stitching, there are no instructions on how to sew, but then that is what the internet is for. If you are an experienced stitcher then you will find this kit too basic for you and you probably have all the threads and felt you need stuffed away in a draw some where don’t you? You could always use things that aren’t in the box to decorate your advent calendar and practise some of your embroidery stitches to add some interest. 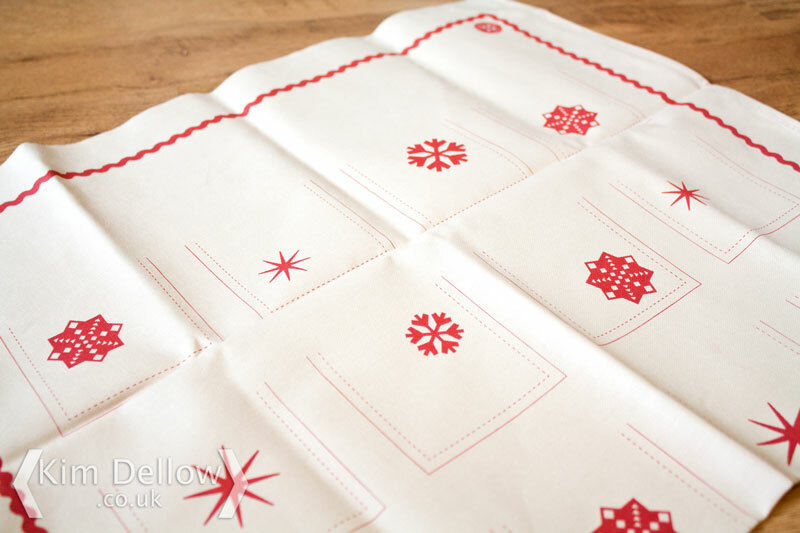 This would be a good kit for beginners so it would be good for crafty children or for a totally non-stitchy or non-crafty adult who wants to make a handmade advent calendar and doesn’t have a collection of fabric scraps and threads lying about. 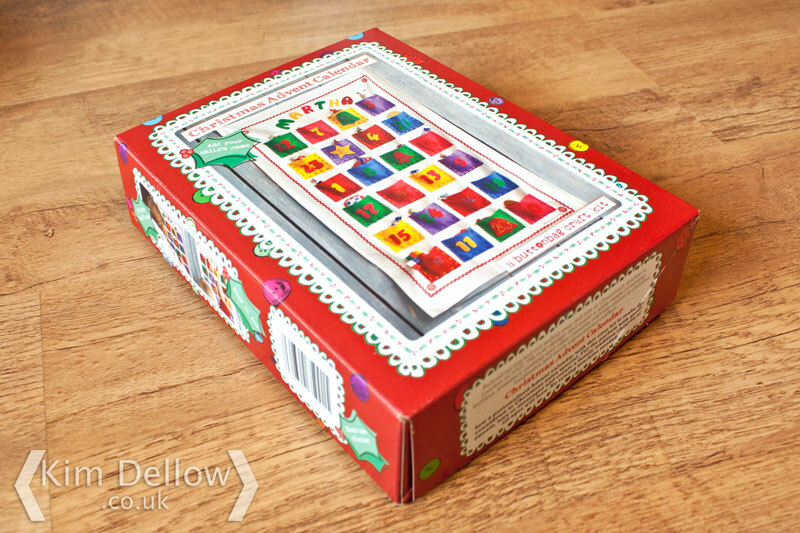 The Buttonbag Christmas Advent Calendar retails at £16 and you can check it out, plus other Advent Calendars, over on the John Lewis website. 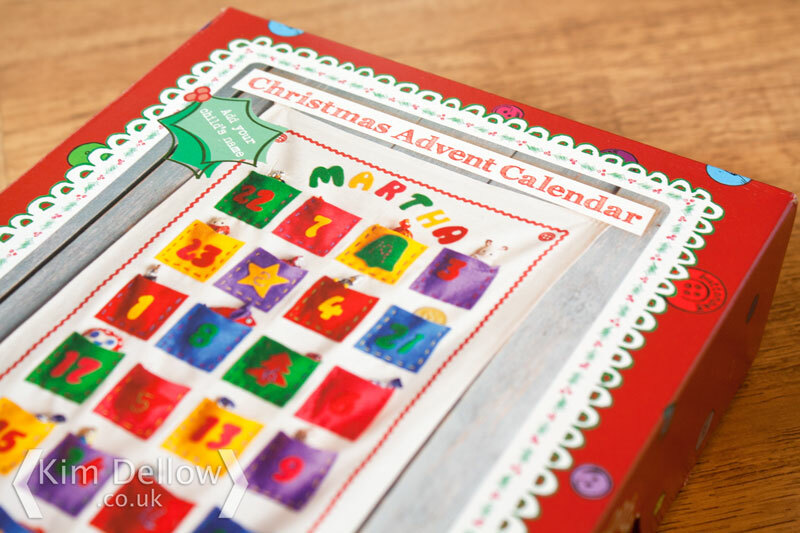 I would love to know if you have an advent calendar this year, did you make it yourself? Or do you have this or any of the other Buttonbag kits? I would love to hear about them. I LOVE magazines. You guys know I do! As well as being lucky enough to be in them and to work with the editors, I also love the inspiration they provide and the amazing work people do for them. There is nothing I enjoy more than sitting back with a cuppa and flicking through a magazine, it is one of my ‘treats’. I don’t know about you but I get a real kick from getting a new magazine and unfolding the ideas page by page. So I’m loving the variety of magazines that have been hitting the shelves in the last couple of years; every time I go to my local newsagent there seems to be a new magazine. 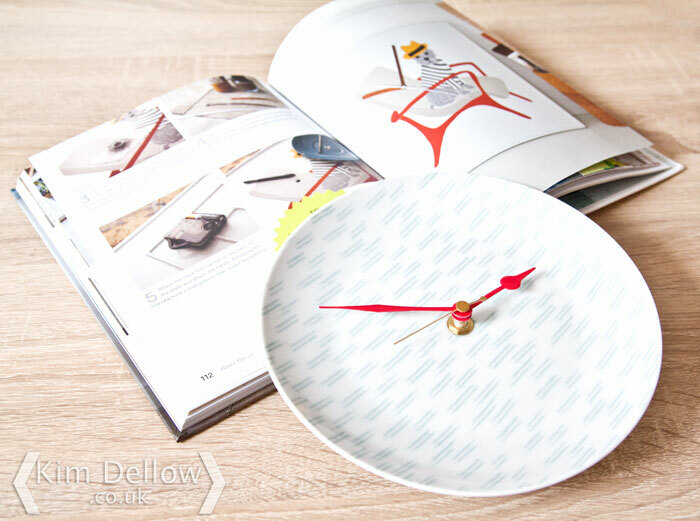 Recently there seems to be a strong trend towards the Blogger Lifestyle magazines, Crafter/Maker Lifestyle magazines and Upcycle magazines. 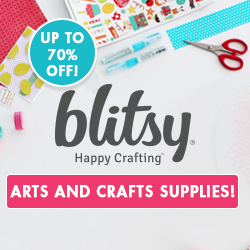 Crafty Magazine is the newest addition to the Practical Publishing Craft magazine offerings and is definitely in the Craft Lifestyle camp, but it also feeds off the Blogger Lifestyle and Upcycle trends too, a great combo for many of us multi-crafter types. Crafty Magazine was launched in spring this year and has a variety of interviews, projects, news, columnists and inspiration. 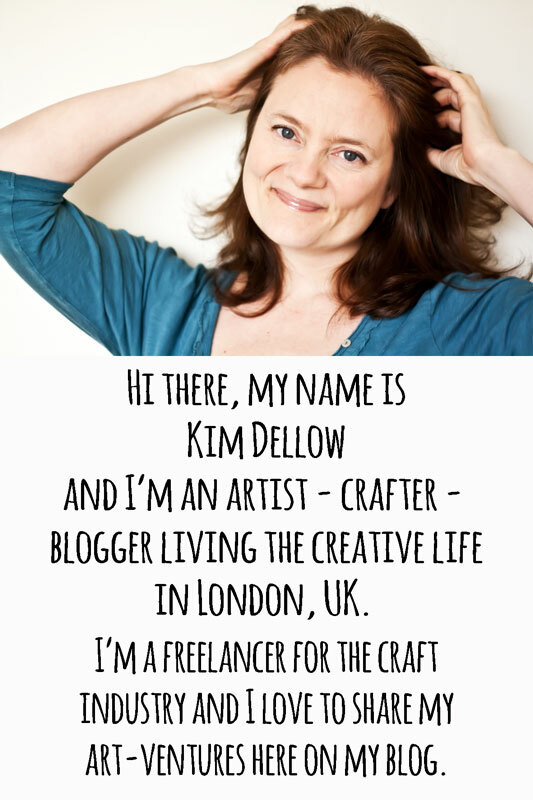 The editor, Sarah Adie, is a crafty blogger and journalist and you can find an interesting Day In The Life Of Sarah Adie over on Tilly and The Buttons Blog. The magazine is nicely set out with inspiring photography. It is a magazine you can flick through for eye candy but it is a fun read too, with interesting snippets into crafter-makers’ lives and some fun projects. I particularly like the articles with the latest news on the new craft movement, and the magazine has a two-page spread on what is trending at the moment plus regular columns from Sarah Corbett, founder of the Craftivist Collection, and Mr X Stitch (Jamie Chalmers) keeping it fresh. I loved the insight into knitwear designer Alexandra Järup’s living space on a narrow boat in issue 2 and I’m definitely going to be looking out for the Tweed Run (issue 3) next year in London. I only got my hands on issues 2 and 3 to review but our very own Stéphanie de Geus, editor of Simply Cards and Papercraft and Get Stamping, has an article on vintage cameras in issue 1, which I’m so going to grab a back copy of. 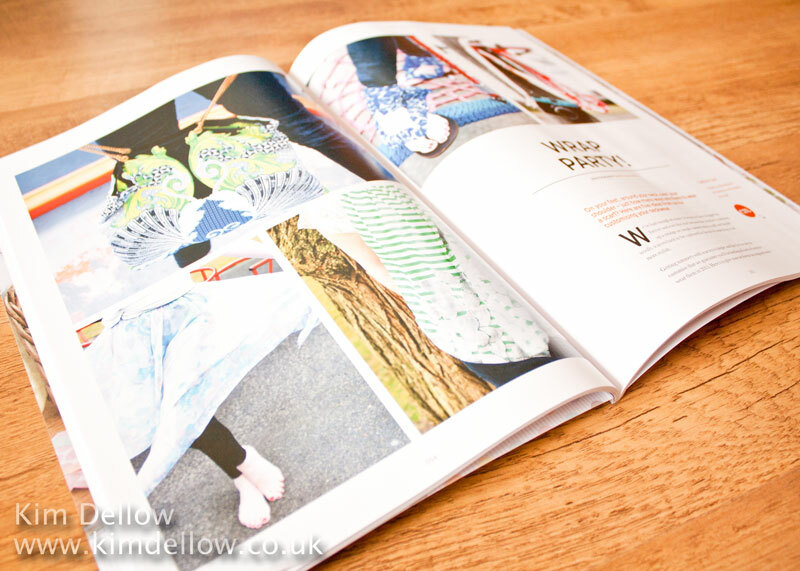 Crafty Magazine is around 100 pages, A4 size and the matt cover and glued binding makes it feel like a substantial offering and it competes well with other magazines aimed towards the Blogger Lifestyle and Crafter/Maker market. For me Crafty Magazine has more bite than others and I actually want to read the articles. It comes with a cover gift and ideas for its use and retails for £4.99 (in the UK). If you want to connect, they have a website, Facebook page, Pinterest boards and Twitter stream. You might also want to check out the Google+ community too. 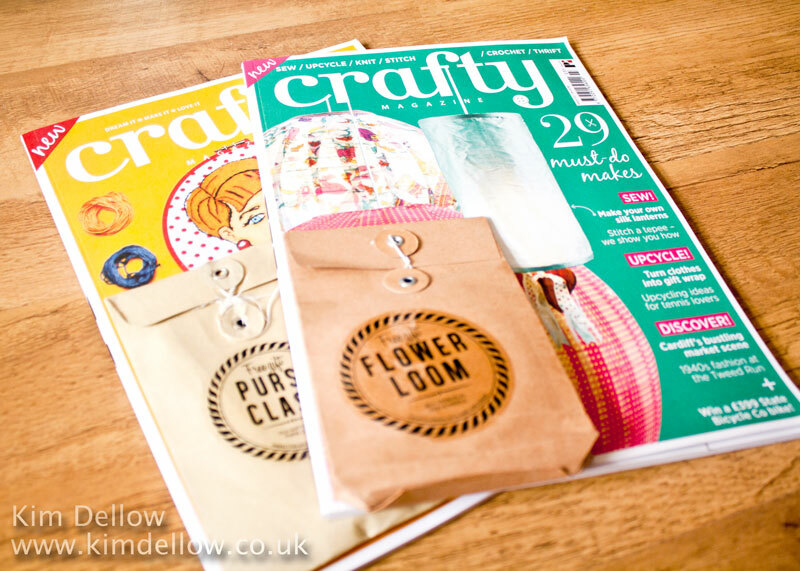 Would love to hear what you think about Crafty Magazine if you have had a chance to see it. Ok so I am a bit of crackle monster – Oh yeah! I just love the crackle! Crackle effects that is! 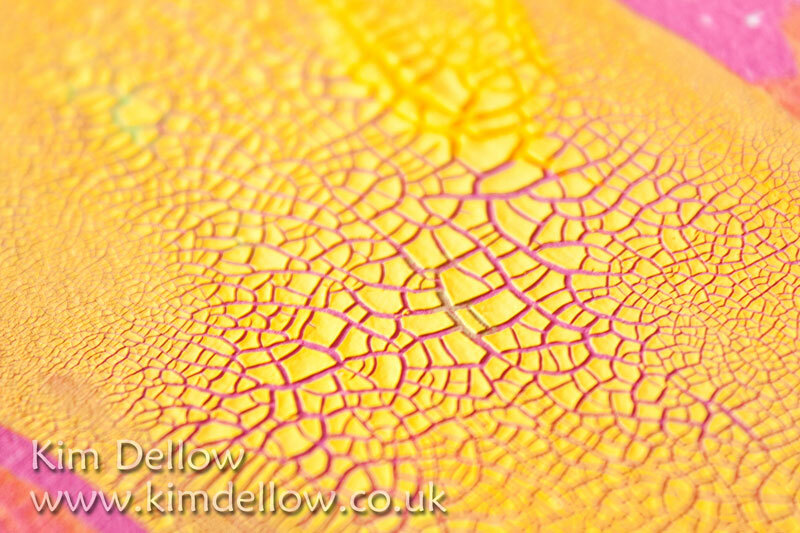 I’m always on the hunt for the perfect crackle effect, so when the Kroma Crackle Medium first hit the blogosphere I was super keen to give it a go. You will find everything you need to know about Kroma Crackle over on their website, including a guide and some videos on how to use it. The way to apply it is to use a palette knife to spread it over a surface, keeping the medium at least 1 mm thick if not thicker. The smaller crackles you can see in the pictures above are where it was around 1 mm thick or less. The Kroma Crackle needs time to cure, you will start to see crackles within 24 h but give it a couple of days to fully dry, particularly if you used a thick layer. Once the Kroma Crackle is dry, seal it with a layer of a clear acrylic medium before you do anything else to it (I used Golden Polymer Medium). I tried it directly on paper but found that once the medium dried the crackles would flake off too easily. 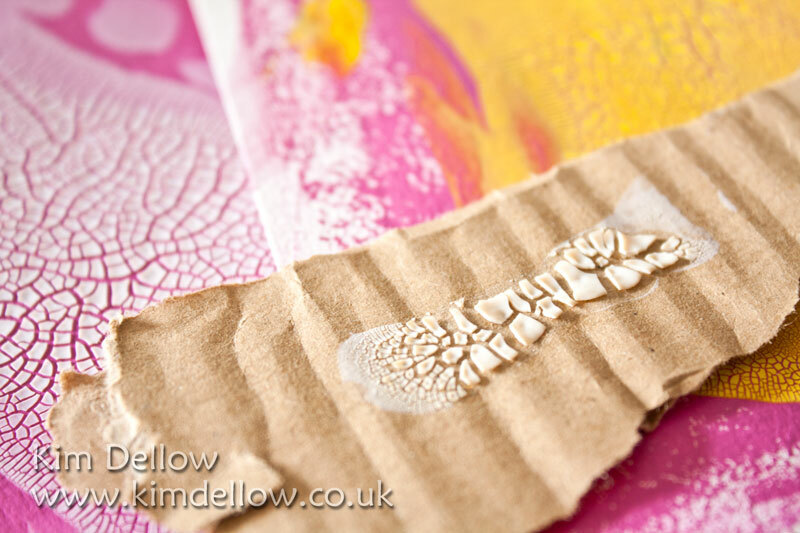 It works really well if you prime the surface with acrylic mediums or paints first to give it something to ‘stick’ to. But you will still need to seal it once it is dry, just to make sure the crackles stay put before you do anything more to them. 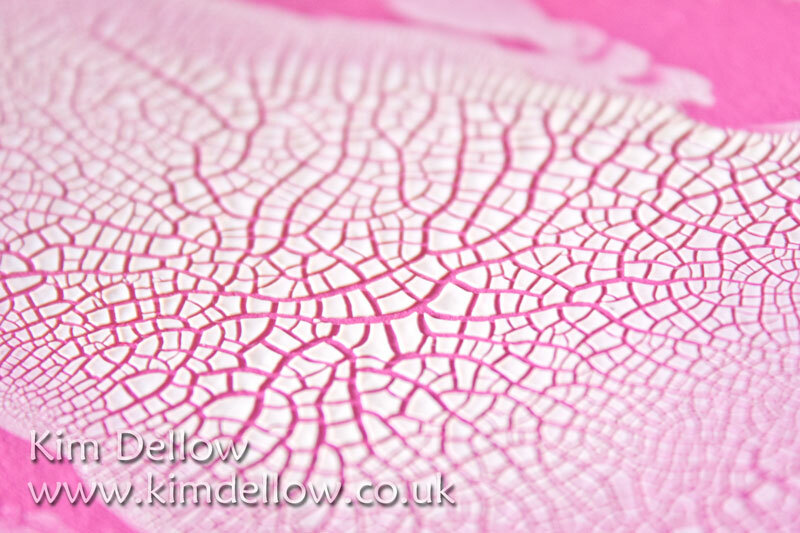 Once you have your sealed crackle surface, you can then add more colour to it and work on it some more, just think what you can do with all that texture! There are some fab examples on the Kroma website and also have a look at what Michael deMeng does with it. As I said at the start I love crackle and I’ve tried lots of different products to reproduce it, some one-step, some two-step, pastes, glues etc and of course the PVA trick is one of my go-to techniques. 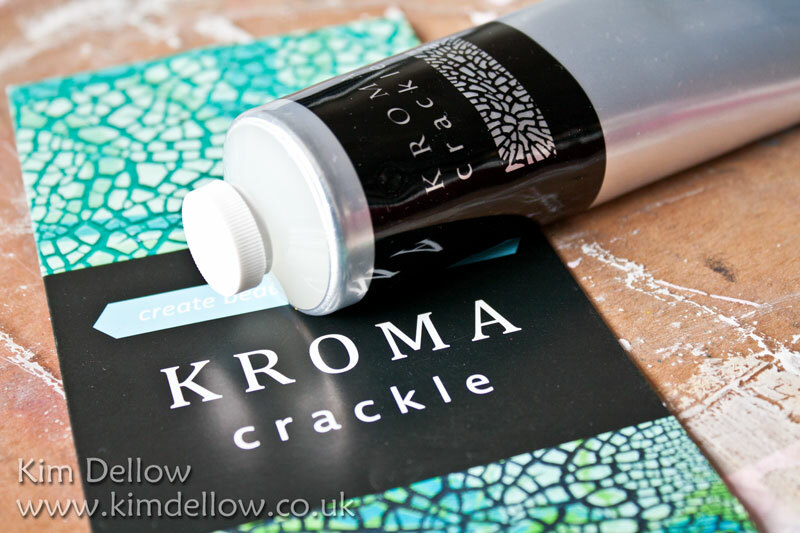 But I think that Kroma Crackle is going to be my most used crackle product – I LOVE it! It is easy to use, but I would say give yourself a bit of play time with it to see what you can do and to get used to it. One of the things I love about it most is that it works on ‘softer’ surfaces such as paper and you don’t have to use it on stiff board to get a good crackle. I wanted to have a lot more samples to show you but I’ve just been so busy with commissions that I haven’t had a chance, so keep your eyes out for projects using Kroma Crackle here in the future! Kroma Crackle is available in 150ml tubes which retail around £8.99 here in the UK and you can find it over at Indigoblu. I would love to know what you think about it if you have used it already. Catch you later Crackle Monsters! Online Tutorials At The Amazings And Get Your First Class Free! Looking for some classes? Have you tried The Amazings yet? Cute name! 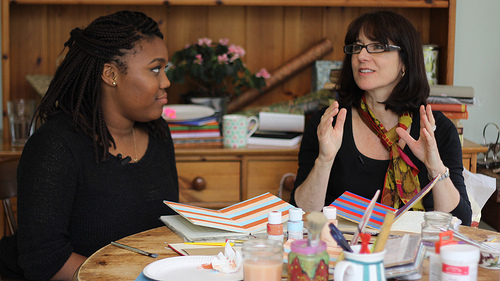 The Amazings is a platform for marketing classes and workshops on a whole range of subjects including arts and crafts. But to stand out from the crowd all The Amazings teachers are over 50 years old. Most of the classes the teachers run are offline, i.e. they run in real life (I know – there is a real world honest!) and most of them in London but The Amazings are now launching their online classes. So The Amazings asked if I would like to have a look at a couple of their online classes and tell you guys about them and in return you guys can get your first class free – but more about that later! 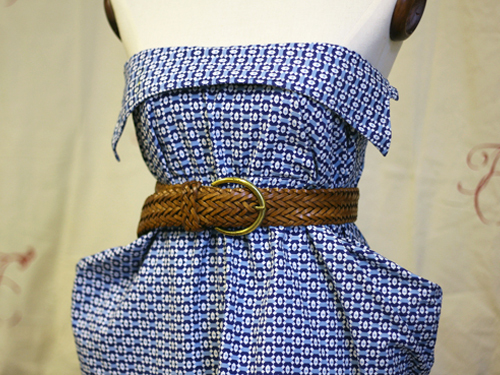 I got to check out two classes, the ‘Upcycle a Man’s Shirt into a Summer Dress’ by Judith Paris from Thrifty Couture and ‘How to Make an Altered Book’ by Jacqueline (no link as I could not find any other contact or even her surname – sorry Jacqueline). Well first off the production standard of the classes were Amazing! The whole website is beautifully designed and that production level can be seen in their online classes too. The style was very relaxed and in both the classes I watched there was the teacher taking someone through the steps. The two-person-style online classes can lead to some interesting banter and exchange of ideas. But it can also make the class a little long if you are looking for a quick answer, but they are selling an experience more than a quick answer. The classes are split into segments showing different stages in the project and each segment can be anything from a couple of minutes to just under 15min long. There are also tips left by the teacher in the online ‘classroom’ area and a place to ask questions to fellow students or the teacher. With my student hat on, both the teachers I watched came across really well and as I said the production level is top notch. 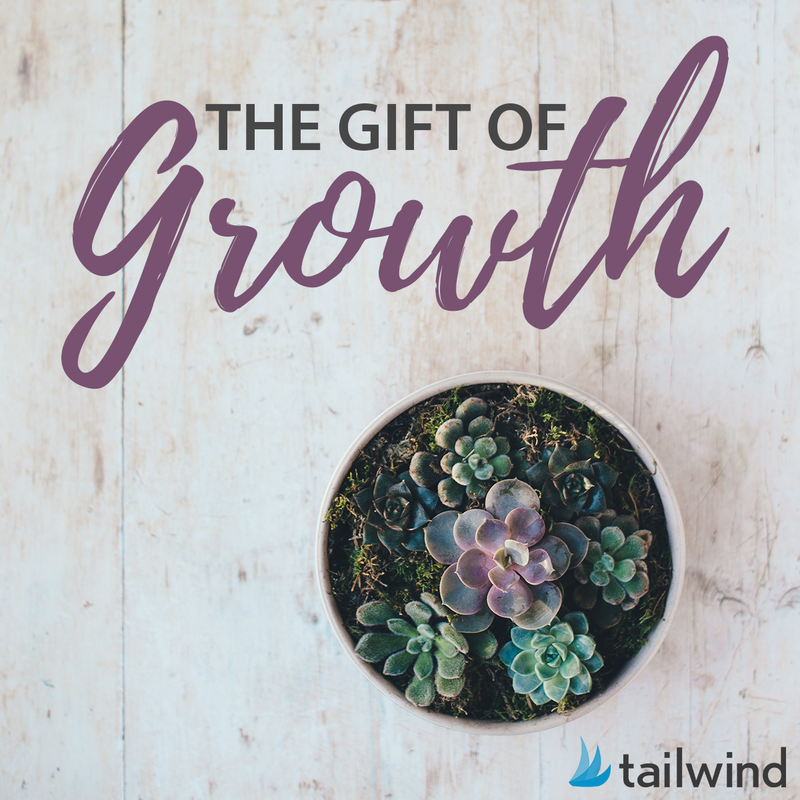 I like the idea and probably like yourselves have watched many paid-for and free online workshops and classes over the last few years, but for me to part with cash the class does need to offer me something I can’t get elsewhere whether that is content, connection with a teacher I admire, connection with fellow students in a virtual classroom or downloadable and extra content. For me The Amazings online offering isn’t quite there yet, but I will be keeping my eye on them. I’m guessing (but might be wrong) that The Amazings is planning to build an online community where you can upload your makes, as more people join, which would be great. Be aware that they have a clause in their sign-up that states that anything you post as a student can be used by them, so may end up in their marketing materials (this is not an unusual clause for most things you do online unfortunately). I have a feeling that the classes are aimed at teens/twenties/early thirties with the whole ‘wisdom from elders with amazing life experience’ philosophy of The Amazings. So probably geared more towards complete beginners, well at least the ones I watched were, and would be great for someone starting out in the crafty/arty arena. Maybe as they grow there will be a range of classes directed to different levels of experience – that would be good. Putting my teacher’s hat on for a second (as I know a few of you make your own workshops and tutorials), the teachers get 30% royalties from the online classes (more for the offline classses they run and The Amazings market). I don’t have any numbers for their reach but they are doing a big marketing drive at the moment and, if that keeps up, then it may be a good platform for anyone who doesn’t fancy doing all the marketing and video production themselves – neither of which are particularly easy I can tell you! So if you are over 50 and looking for a way of reaching people then have a look at their Teacher FAQ so that you can compare it to other online classes and workshop platforms. This Teacher FAQ is directed more towards the offline classes at the moment but worth keeping an eye on as their online classes grow. You can try your first class for free if you follow this link here and sign up. I would love to know what you think! [Disclaimer Time: I was not paid to write this review however I did get access to two classes and a link for my readers to get a free class. But as with all my reviews I always try to give you my honest, unbiased opinion. (Prices correct for the date the blog post went live). Hey All, I have another in my series on electronic cutters for you. I’ve been recently introduced to the world of electronic cutters and I am having fun trying out and comparing different personal cutting machines; you can find my review and first tutorial on the Silhouette Cameo via this link. 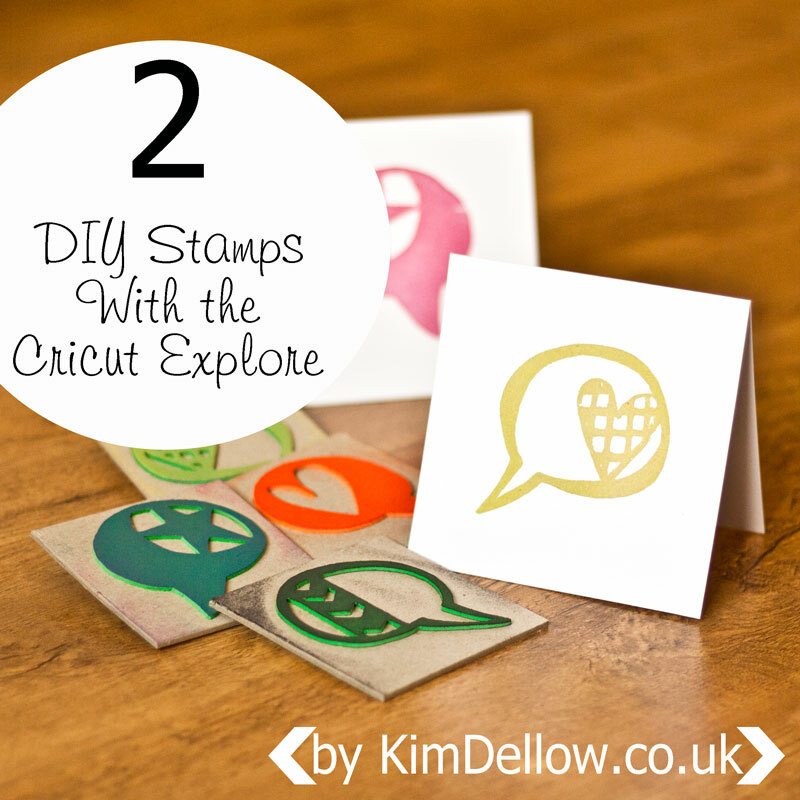 Today my focus is on the Cricut Mini and have I got a treat for you! Oo yes I’m very excited but read on and you will find out what the treat is (well if you haven’t guessed from the blog post title already!). So as the name suggests, this is one of the smallest personal cutting machines on the market and from the Provo Craft electronic cutting machine range. It is approx. 41cm long, 18.5cm wide and 9.4cm high (16.1″ x 7.3″ x 3.69″) and weighs in at 2.38kg (5.25lbs). According to the Cricut information, it can cut lots of different materials such as cardstock, vinyl, vellum, fabric, chipboard (probably thin chipboard, I would guess). So far I’ve only used it with cardstock and patterned paper but I will report in when I’ve cut a different material! The cutting range is 0.635cm to 29.21cm (¼” to 11 ½”) and the cutting mat is 21.59cm x 30.48cm (8.5″ x 12″). OK, so that is the technical specifications, what about getting it out of the box? Well, of the three electronic cutters I’ve had the pleasure of trying so far, this was the simplest to set up and the quickest from out of the box to first cut. Like all Cricut machines it works from cartridges, but luckily for me, who doesn’t have any cartridges, it also works with the Cricut Craft Room which is a free online software from Cricut. You can access this software via the internet and you need to download the free application and install it on your computer. The software gives you access to some free images as well as the ‘Cut It Free For A Week’ images. But the rest of the images you will have to buy. The thing to remember when using the software though is that you can see all these lovely images whilst you are designing but if you haven’t bought them you won’t be able to cut them! So go buy them or just remember to look through the ‘My Cartridges’ drop down menu when you are working on your projects! If you do have cartridges you can still plug them into the Cricut Mini, but you can buy access to cartridges online as well rather than have the physical cartridge. The Cricut Image Library also has single images for sale so you don’t have to buy full cartridges if there are only one or two images you need in that cartridge. The software is very simple, perhaps a little too simple for my liking. I did feel a bit restricted by what I couldn’t do with it, for instance I don’t think there is an align function. Well I searched for one and even looked online for help and couldn’t find one (feel free to tell me if I’m being an idiot and just missed it somewhere!). 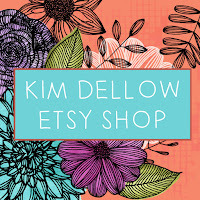 At the moment, you can’t cut your own images or non-Cricut images, which is a shame, but if you are looking just to cut the images you have on Cricut cartridges or via the Cricut Craft Room, then the software works and you can do things like design on different layers then cut all the layers or just one of the layers. Which is great as you can have all the images ready to cut on different papers and just cut the one you want for the paper currently on your cutting mat. When you log in to the software you are logging in online and any projects you save are saved into your account. I don’t think you can use the software offline, so if your internet goes down in the middle of a project you may be a little put out! I did have a little bit of problem with my cuts as the machine was putting little nicks where they shouldn’t be, so I tried to slow the cutting speed, which helped. The customer service was very good and they kindly sent me a replacement blade and blade housing, which has improved the cuts, but I am still getting nicks where I don’t want them. 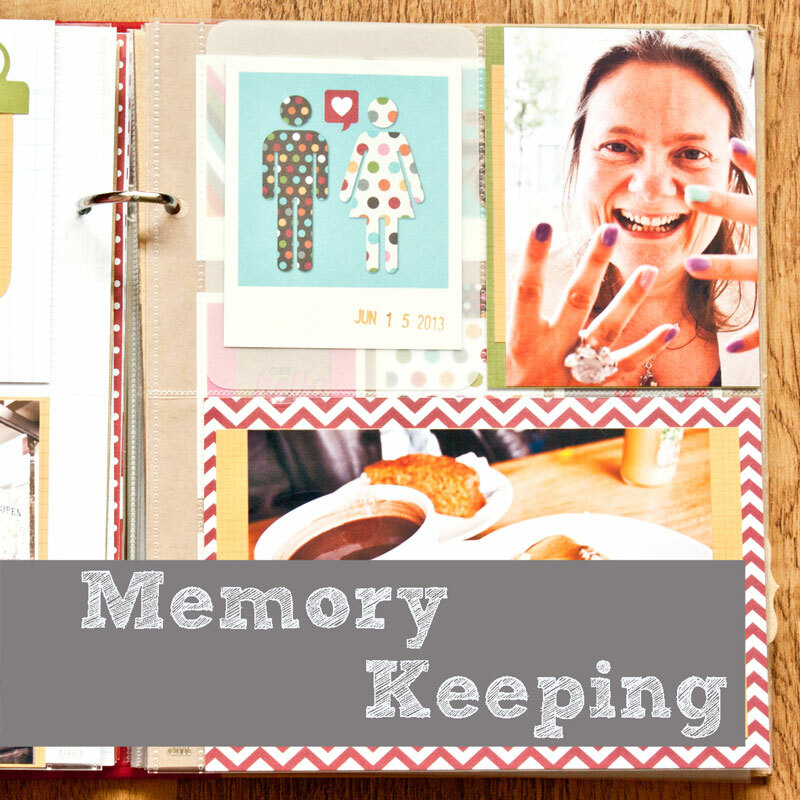 But you can barely notice as you can see from this make using the Cricut Preserves images. 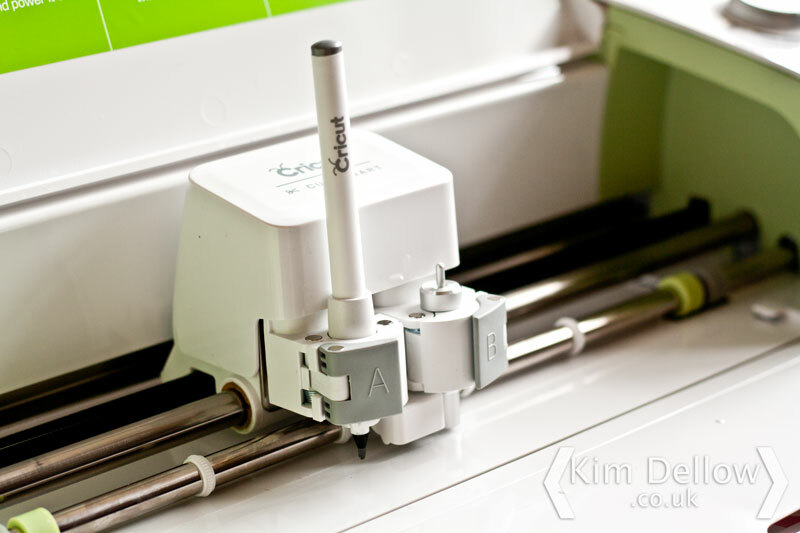 You can find the Cricut Mini retailing for upwards of £114.99 depending on where you buy and what comes with it. 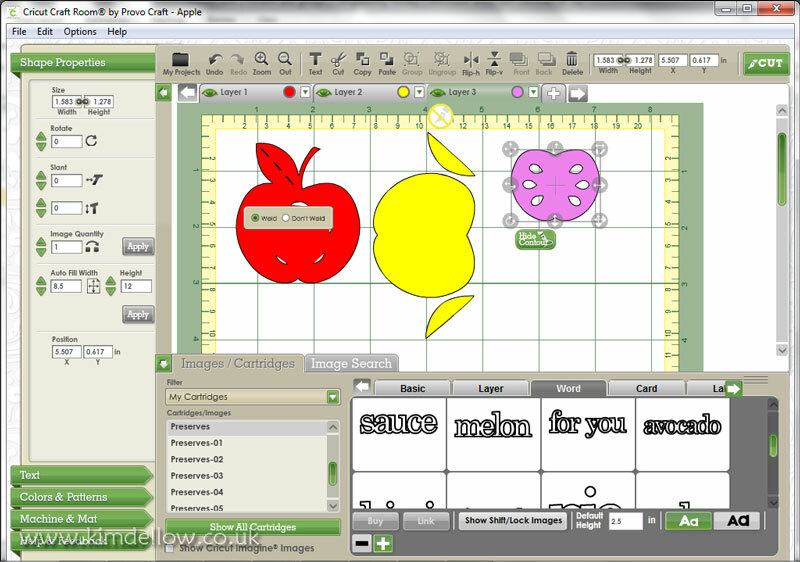 Also keep your eyes on Creative Expressions as they are now one of the UK distributors of Provo Craft Cricut products. My thoughts on the Cricut mini so far are that for quick and simple cutting, this machine works well. Its mini size and weight are great for the space conscious and its mini price makes for a fabulous starter cutter for the price conscious. I’m really enjoying playing with this machine and am looking forward to making more cuts. Now for the treat! The lovely people over at CricutEU are offering one of my lucky readers their very own Cricut Mini to cut with to their heart’s content! Yep! 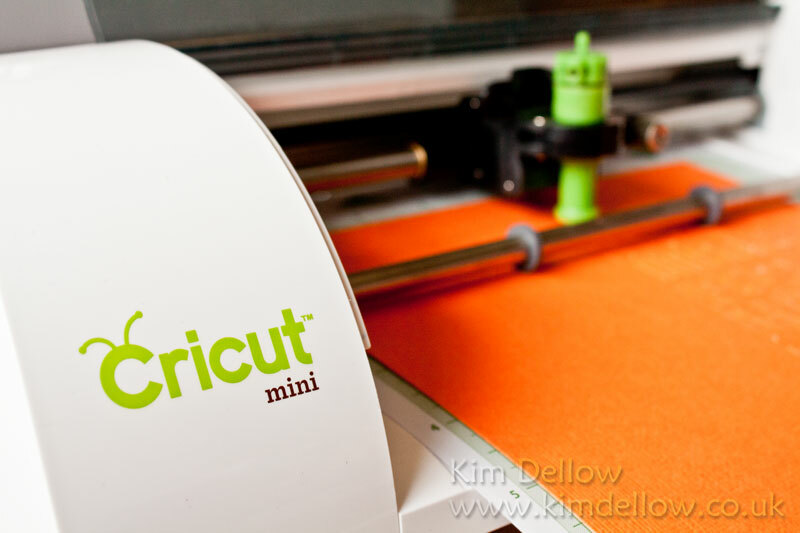 A Cricut Mini is up for grabs: just put your name in the inlinkz gadget below. Don’t forget to go link up with CricutEU on Facebook for all the latest news and information. Follow if you like what you see here and spread the word about the giveaway! The giveaway is open until 21st June 2013. The winner will be chosen by random and announced on 22nd June 2013. It’s review time! 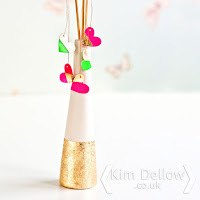 This week I’m taking a look at the Metallic Gilding Waxes from Creative Expressions. 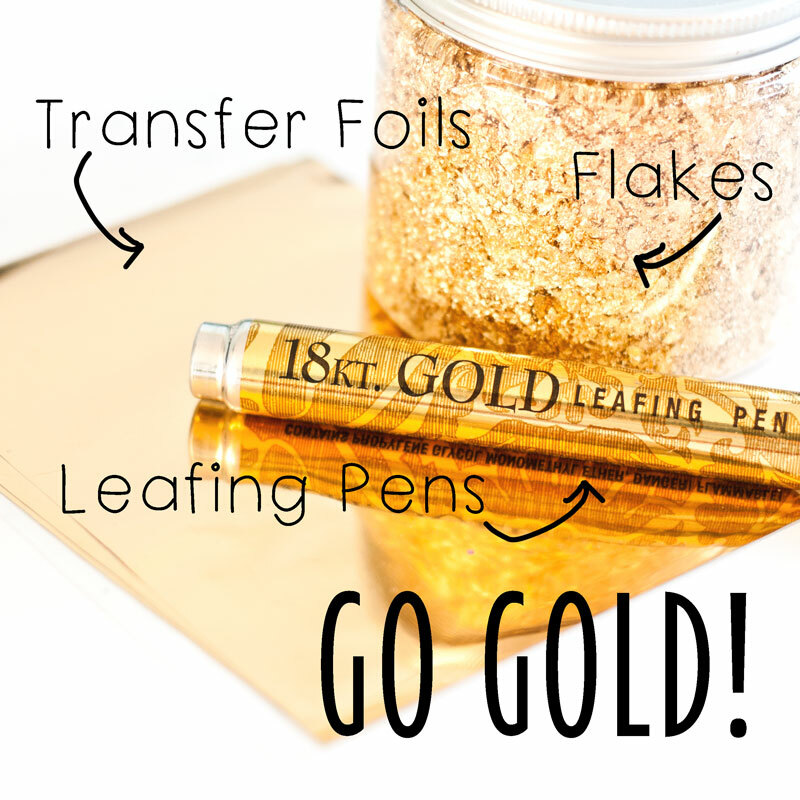 Now if you haven’t spotted this product yet but like that metallic sparkle on your projects, then this is definitely for you. They are pots of a coloured wax that you wipe onto the project surface to give a metallic sheen. They are particularly perfect for picking out texture, so look great on dry embossed items but also look wonderful on all sorts of other surfaces too. Gilding waxes are often used by interior designers to shabby chic pieces of furniture to give it that luxurious patina look but us crafters love them too! 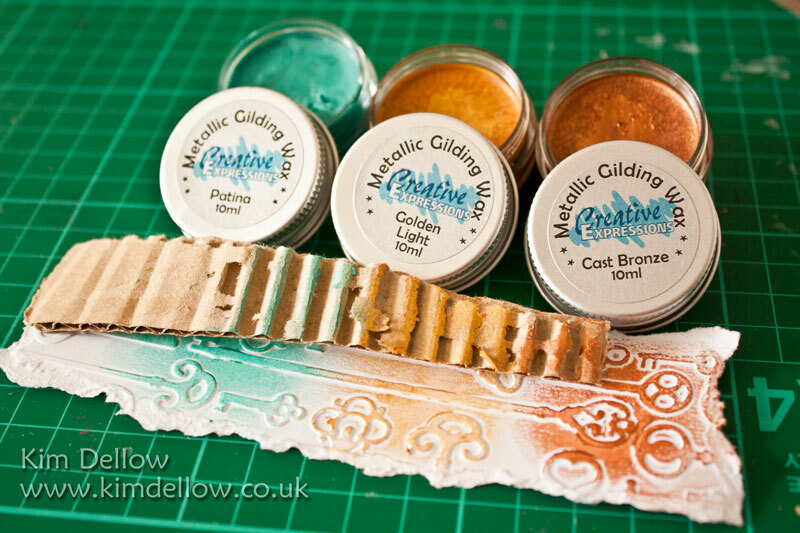 The Creative Expressions Metallic Gilding Waxes come in 10 yum colours and I’ve used the Golden Light, Cast Bronze and Patina for my examples here today. They really do give a high metallic sheen to a project. The wax is really easy to apply, you just need to take a small amount from the surface of the pot and wipe it across the surface of your project. The pot suggests that you apply it with a cloth onto your surface, but I also used my fingers, making sure that I wiped the majority of it off my fingers onto a cloth and then washed my hands thoroughly too. Once the wax has dried you can add an extra shine by buffing it with a clean cloth. It is one of those products where a little bit will go a long way and I am sure that the 10 ml pot will last a very long time. 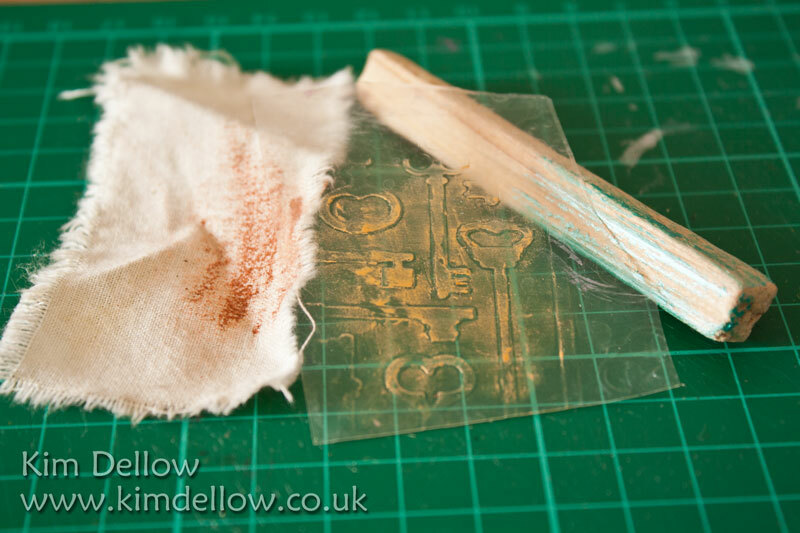 I’ve tried it on a number of different surfaces and the photo above shows the wax on fabric, acetate and wood (left to right) and you can also apply it to metal and painted surfaces too. The wax is very soft and malleable and my tip would be not to take too much of the wax in one go.You do get a little bit of flaking when you try to take a large amount of wax at once, but all you have to do is work the flakes into the project or drop them back into the pot and take a smaller amount of wax. Of course I had to try it on black card too and what a fabulous look that gives, so don’t forget to try them on your coloured card! 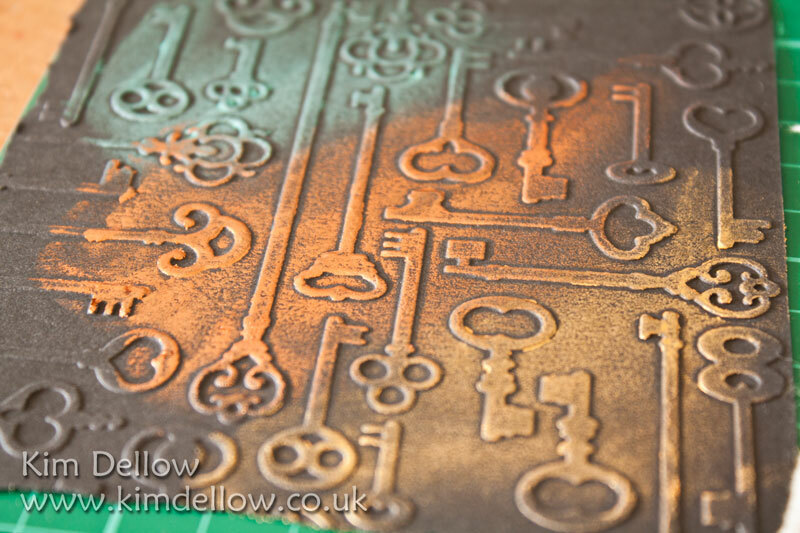 So the Creative Expressions Metallic Gilding Waxes look just as good covering large areas as they do adding small details and touches to a project. They add a really luxurious twist quickly and easily to your project. 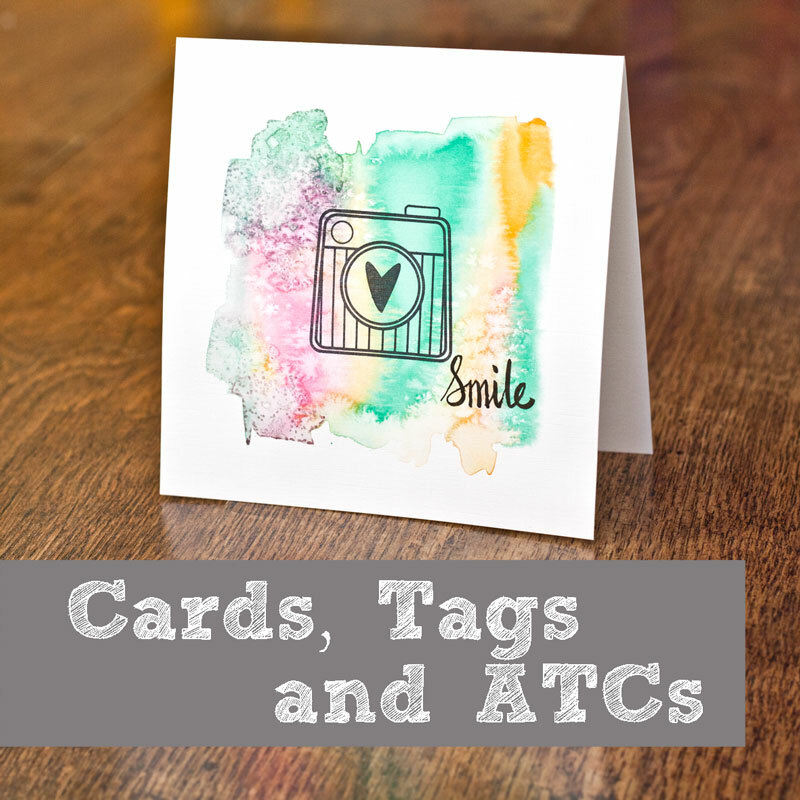 I’ve used the Golden Light Creative Expressions Metallic Gilding Wax on the corrugated card, edges and metallic brads in this Father’s Day tag. 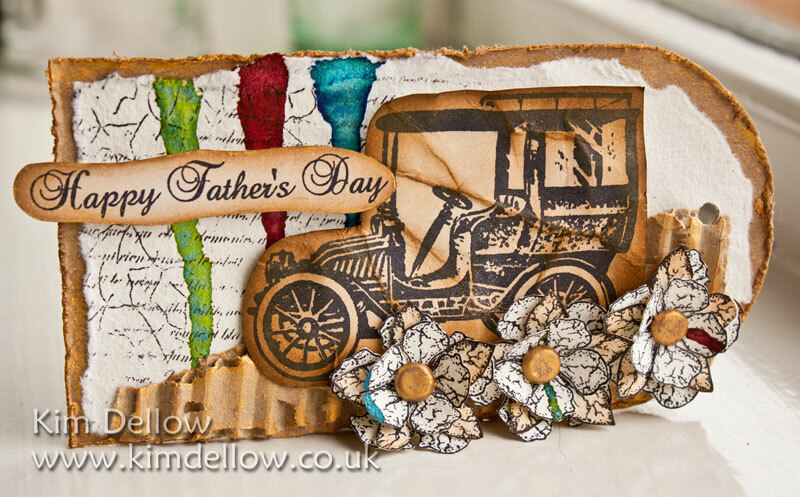 The sentiment and car are the Vintage Car set from the Creative Expressions Single Stamps range. The flowers are the Heartfelt Mini Vintage Floret Pre Cut Set. I’ve also used the Creative Expressions Umount Texture Plate and some Cosmic Shimmer Misters. 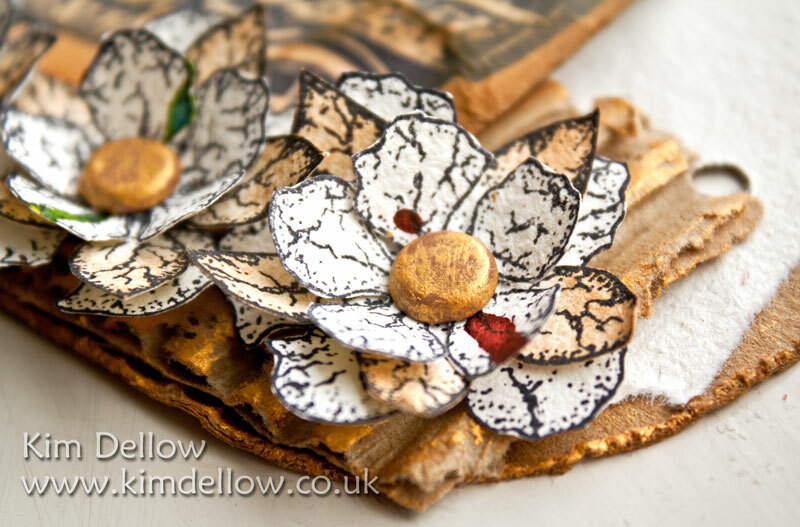 If you want to see some more fabulous ideas for using your Creative Expressions Metallic Gilding Wax then check out this lovely project from Tracy Evan’s blog. 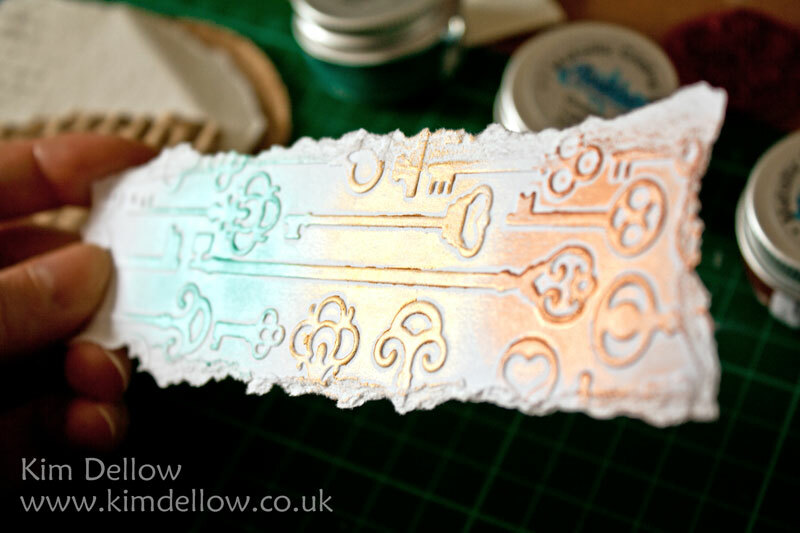 But you also NEED to check out Suzanne Saltwell fabulous stamping with the Gilding Wax over on the Creative Expressions Blog. I would love to hear what you think about these gliding waxes if you have them, or other waxes that you use. UPDATE: 2nd June 2014 Hi Guys, I thought I better put an update to this review, it seems that a number of people have been having a problem with this product being far from soft and easy to work with and their pots have been very hard. So much so that a few months after releasing the Gilding Wax Creative Expressions bought out a softening fluid that you could buy to soften hard wax. I’ve never had this problem with my pots so can’t really give much advice and all the advice I have is in the comments below. 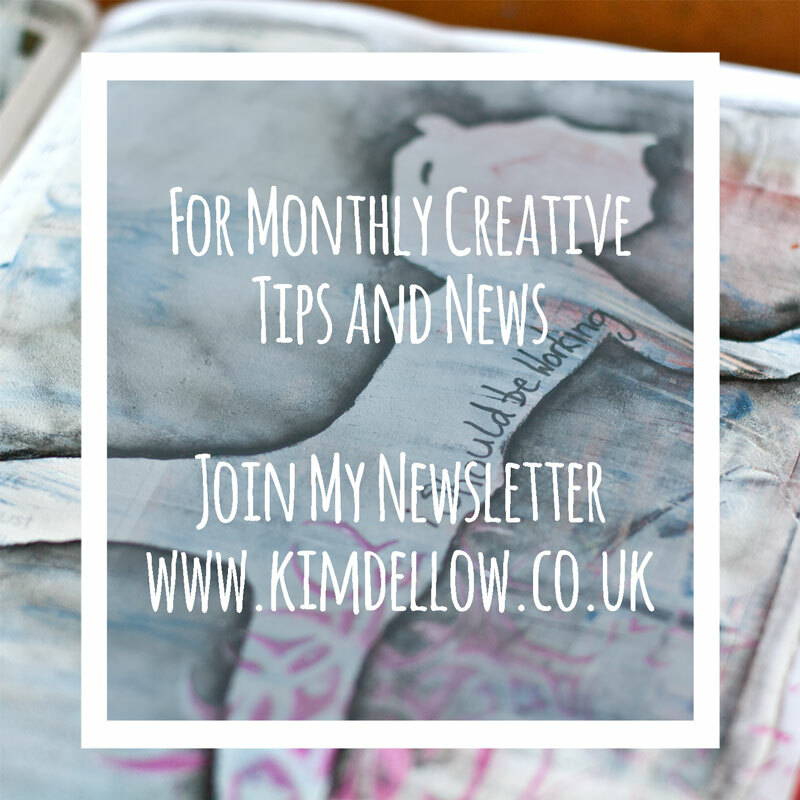 If you are still having problems then the best bet is to get in touch with Creative Expressions via email at sales@creative-expressions.uk.com or find them on their Facebook page. Hope that helps.